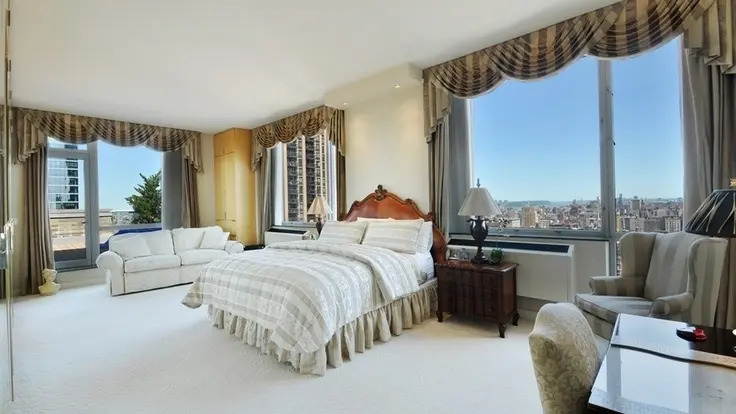 Located at the corner of 59th Street at 502 Park Avenue, Trump Park Avenue is steps away from Central Park. 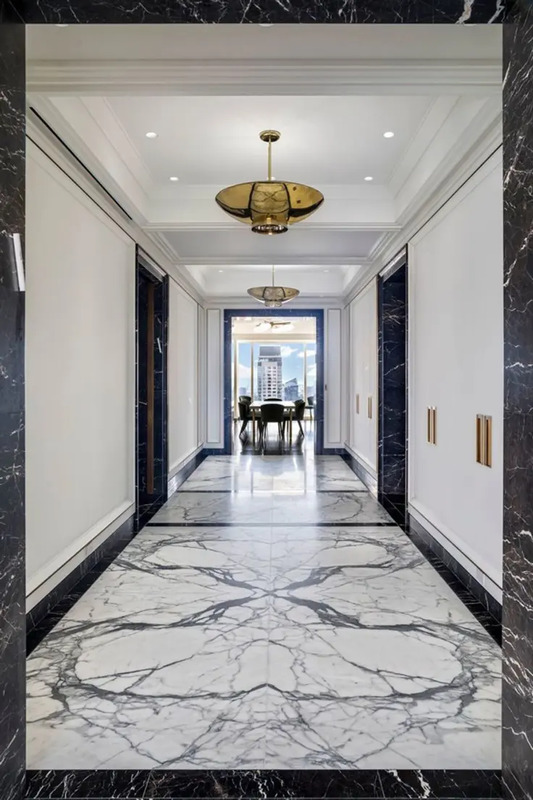 502 Park Avenue was erected in 1929, although an extensive remodeling and renovation project was completed in 2005. 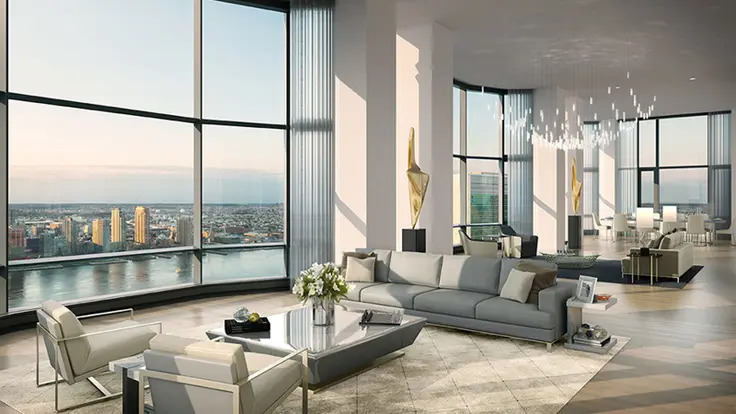 It contains 120 residences, including one- and seven-bedroom units. 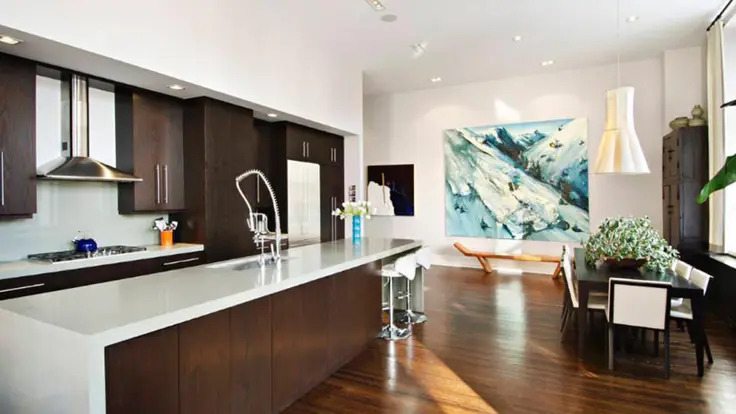 Kitchens and master bathrooms are equipped with top-of-the-line appliances and fixtures, while layouts are generous and varied. 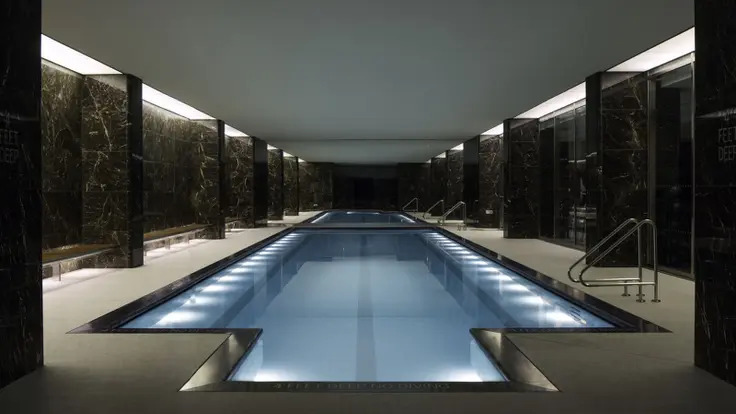 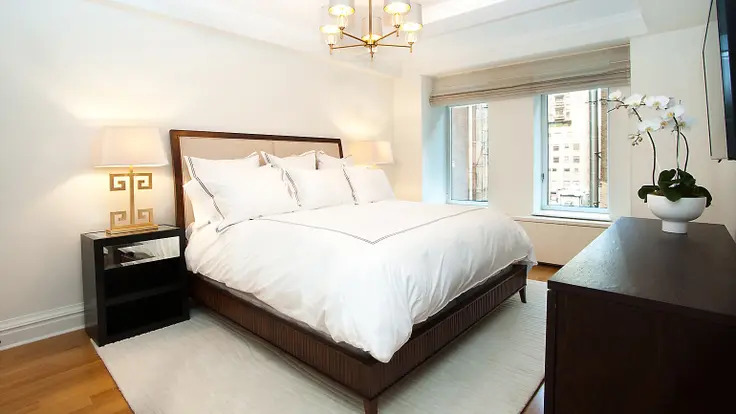 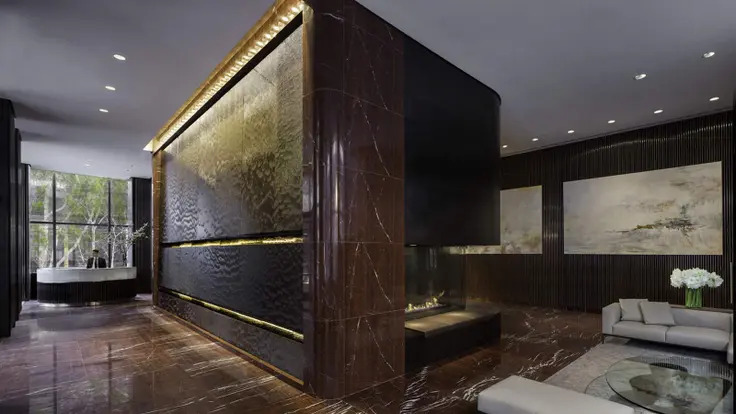 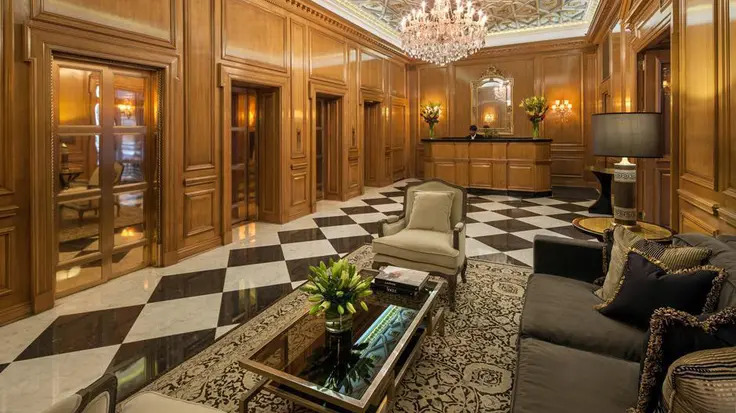 In keeping with its namesake’s commitment to luxury living, Trump Park Avenue amenities are impressive and include a 24-hour doorman and concierge, valet and laundry service, daily maid service and a fitness center. 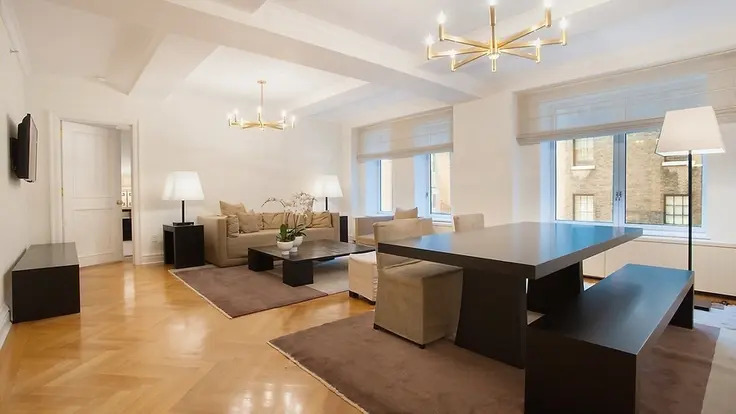 It is convenient to Madison Avenue's many shops, countless restaurants and public transportation. 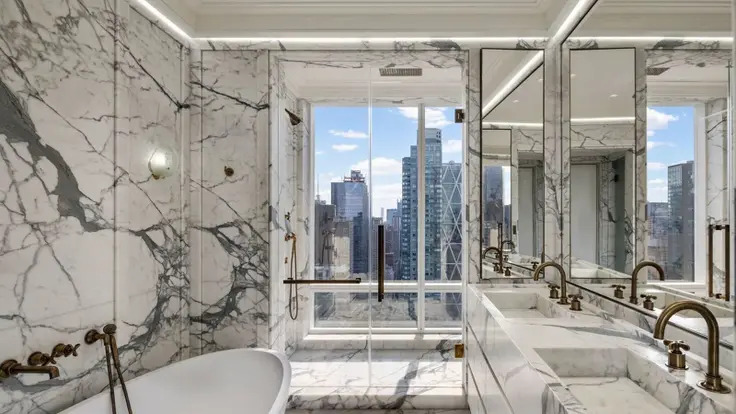 Trump International Hotel and Tower at 1 Central Park West is one of the most successful developments in Donald Trump’s portfolio. 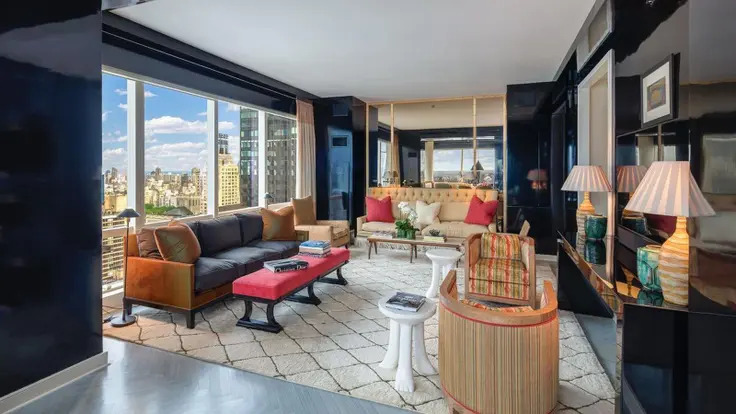 After securing its acquisition, Trump oversaw a comprehensive renovation, staging a reopening in 1997. 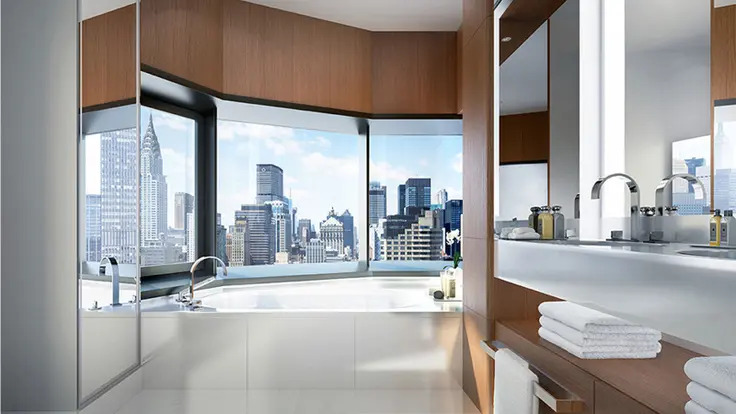 A world-class hotel occupies the lower 22 floors of the 44-story Trump International, while private residences in the upper floors feature floor-to-ceiling windows, 10-foot ceilings, walk-in closets, hardwood floors, marble baths and modern kitchens. 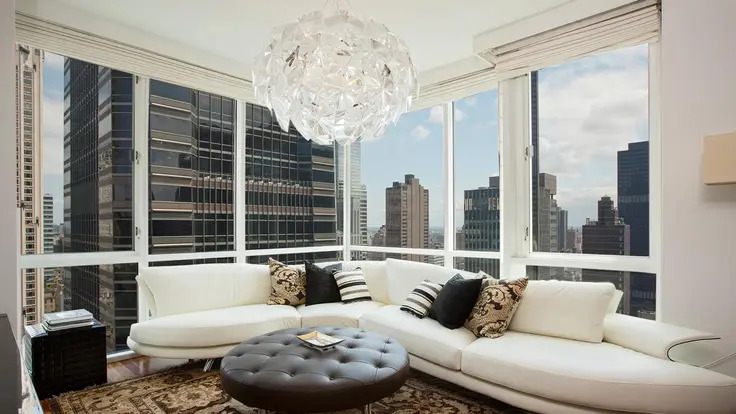 In addition, residents of the Trump International’s 166 apartments enjoy access to all of the hotel’s room, concierge and valet services, as well as its gym, spa and pool; they can also order food from the world-renowned, Michelin Guide 3-star Jean-Georges restaurant located just off the hotel lobby. 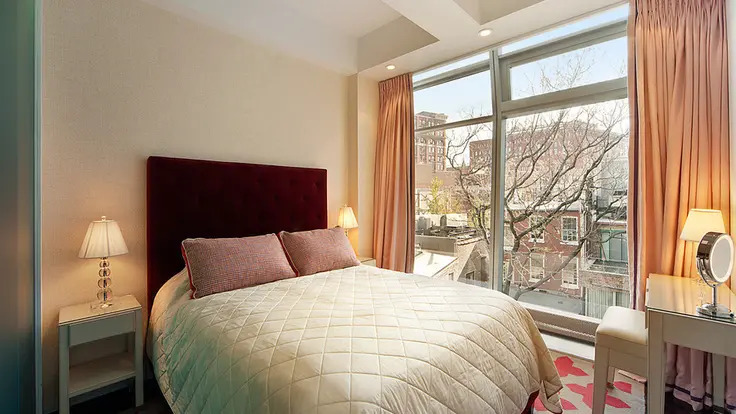 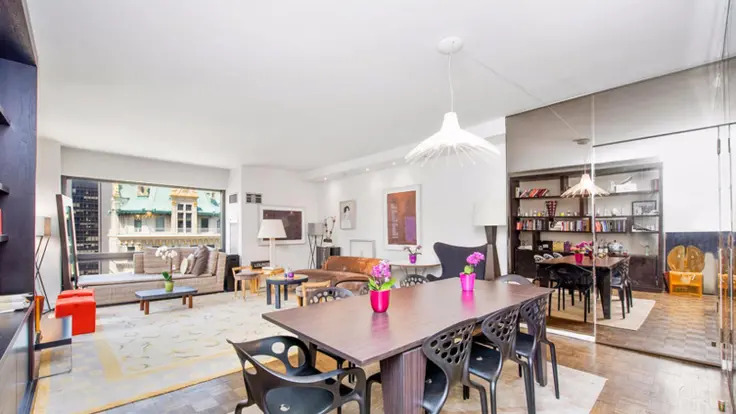 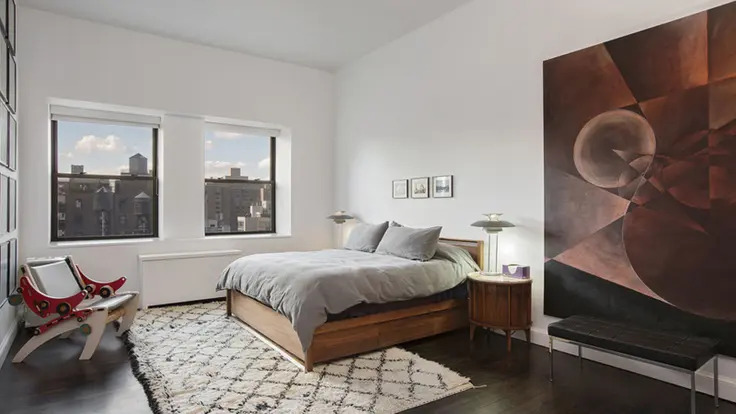 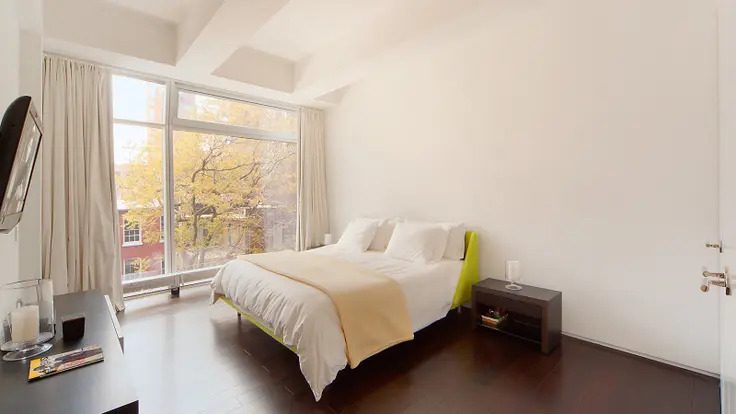 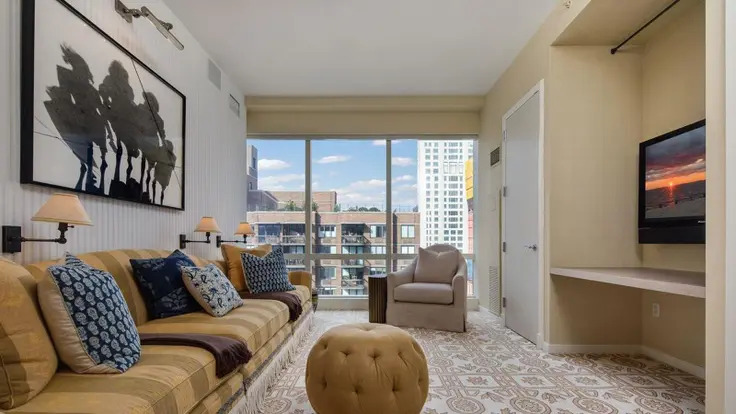 Its convenient location is in Central Park West across from Columbus Circle and a number of public transportation options. 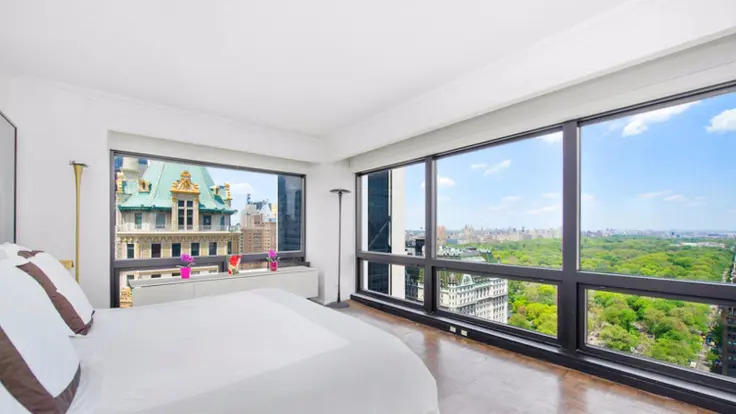 It is also close to the Lincoln Center for the Performing Arts. 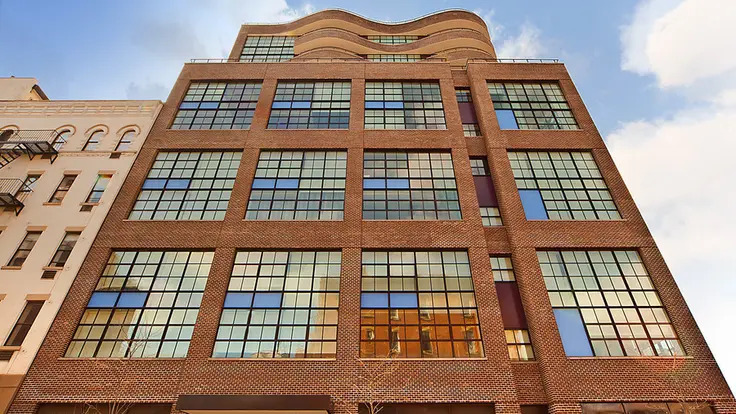 This very handsome, 7-story building at 109 Greene Street was completed in 2005 and is a modern interpretation of the historic district s famous cast-iron structures that uses I-beam and riveted girders in the style of early 20th Century bridge construction. 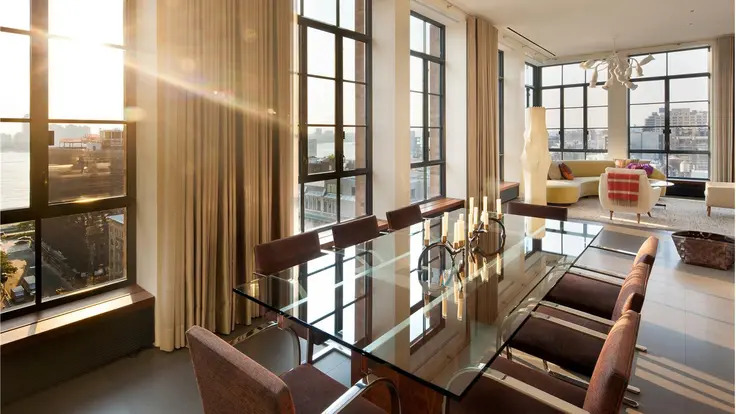 The building is known as The Lofts at Greene Street II and it is one of the most stunning new buildings in SoHo. 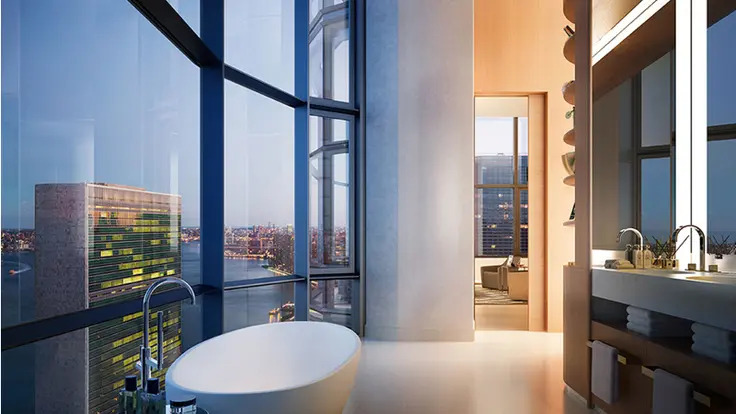 It was developed by Goldman Properties and designed by Cook + Fox. 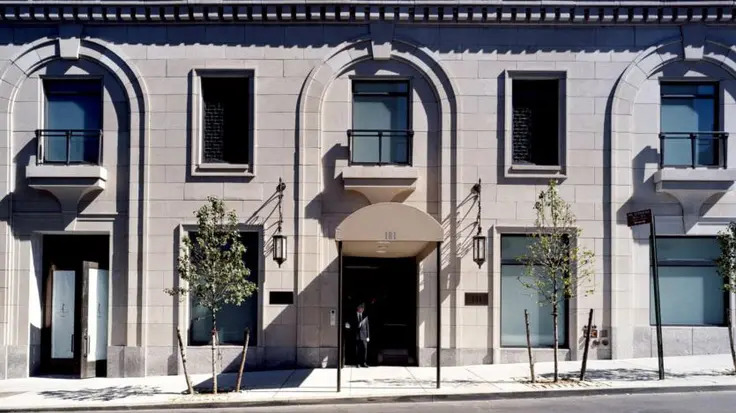 The façade of the mid-block building is painted in two tones of gray and the very large windows are framed in black and the overall effect is both historic and high-tech, subtle yet dramatic. 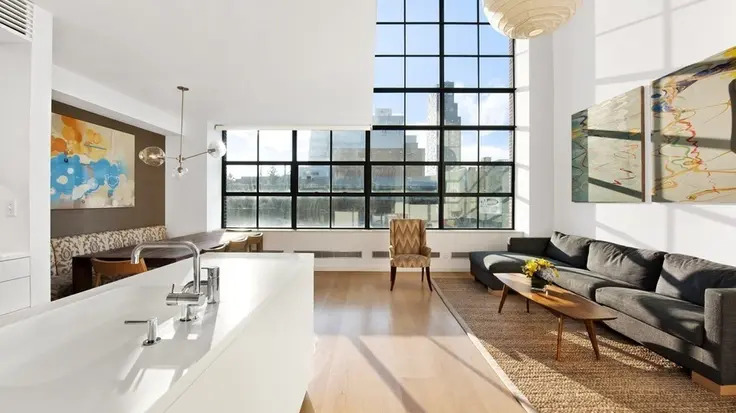 It is in stark contrast to some of the street's other buildings such as 101 and 103, which were also developed by Goldman Properties and are known as The Lofts at Greene Street. 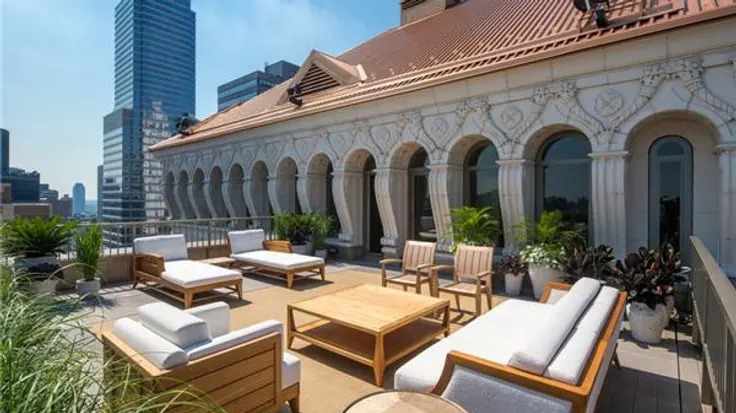 The cast-iron façades of both are painted white and the façade of 103 was copied and applied to 101, whose original façade was burned in a fire in 1950. 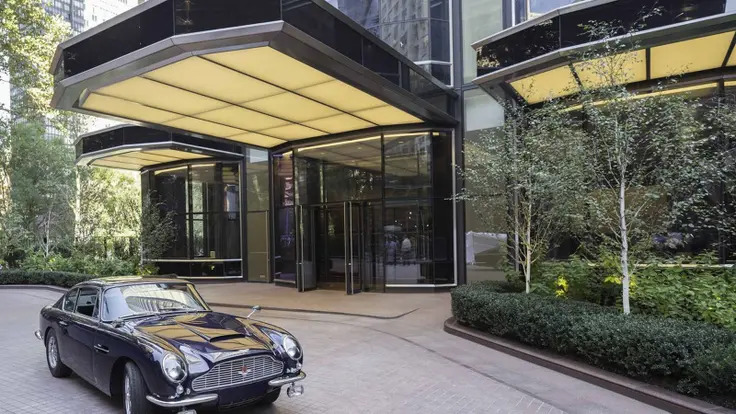 This cobblestone street has several famous retailers such as Louis Vuitton and Mont Blanc. 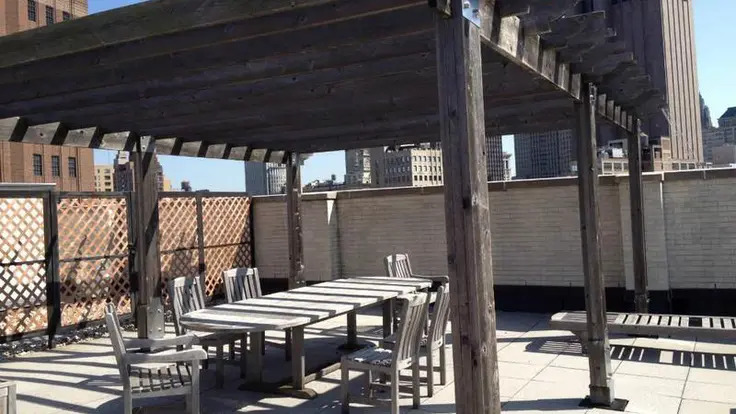 The building has a very central location in SoHo and is located between Spring and Prince Streets and it is very close to a former post office on Greene Street between Prince and West Houston Street that is now an Apple store. 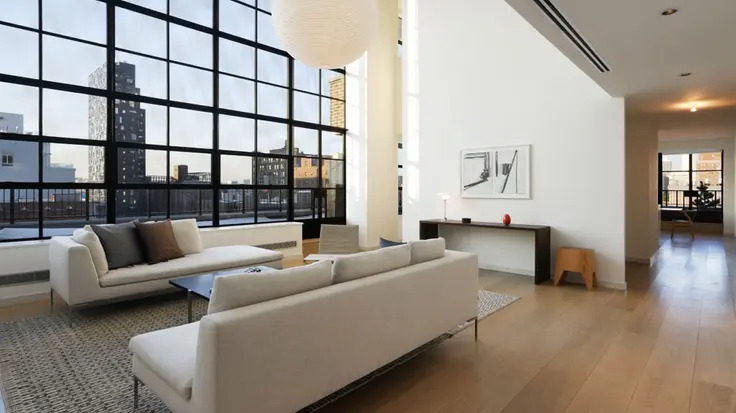 Many of the apartments have 13-foot-high ceilings. 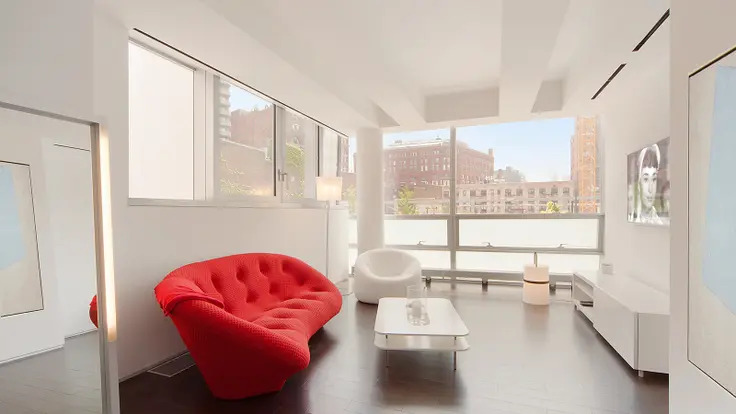 The building central air-conditioning and a key-locked elevator and it is on a block that has been described as "SoHo's best." 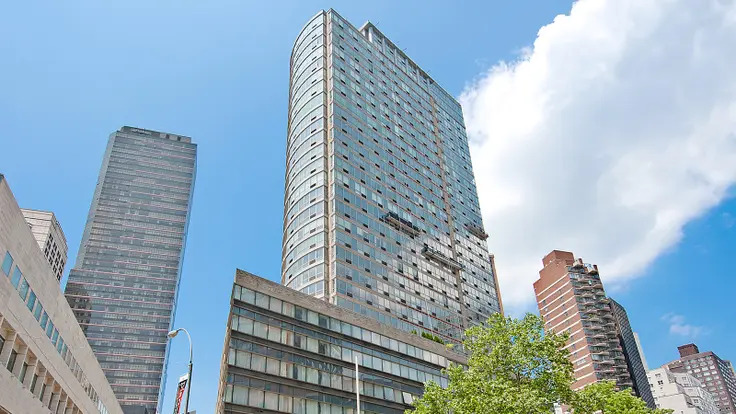 The Grand Millennium at 1965 Broadway is located in Lincoln Center and was completed in 1996. 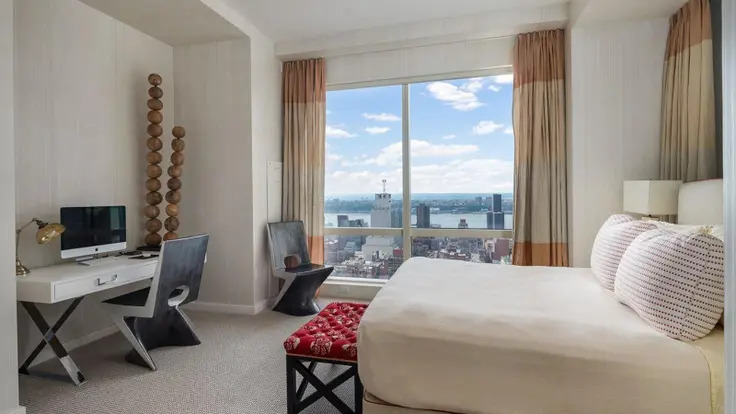 Apartments are large and have oversized, floor-to-ceiling windows with dazzling views over Lincoln Center. 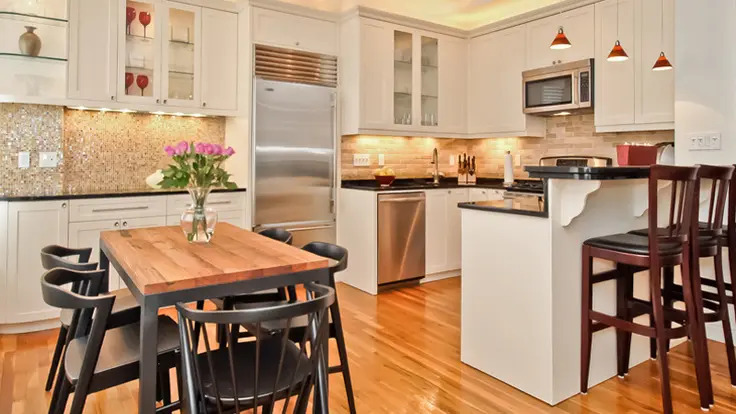 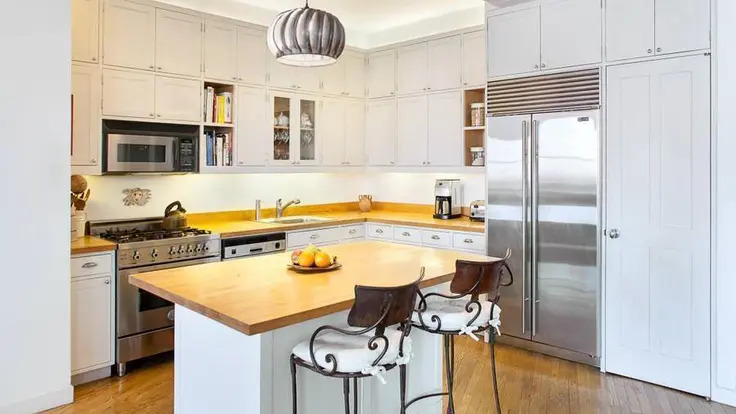 They have hardwood floors and distinctive architectural details; gourmet kitchens are designed with granite countertops and floors and are fitted with premium appliances. 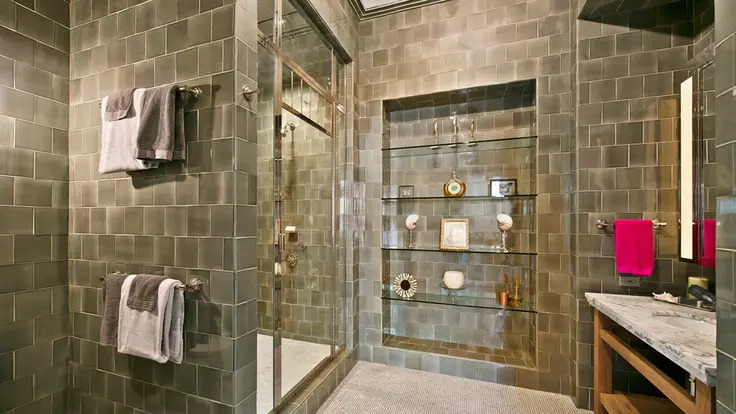 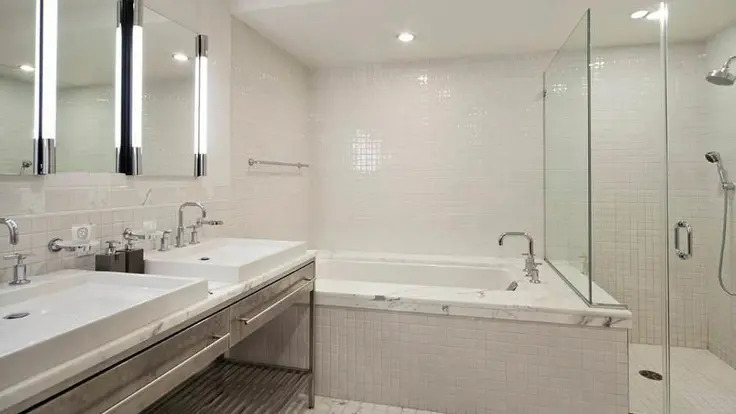 Master bathrooms are appointed in opulent marble with deep soaking tubs and separate showers and all units offer ample closet space – including walk-in closets – central air conditioning and washers and dryers. 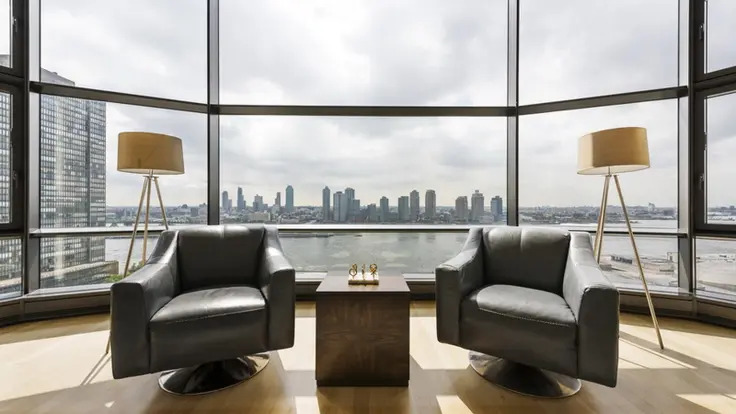 The Grand Millennium’s amenities include a 24-hour doorman, concierge and valet service, resident storage and preferential access to the Equinox Sports Club located across the street. 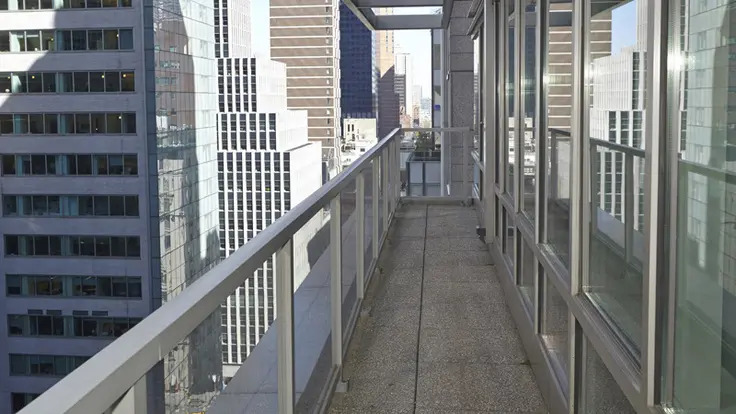 Lincoln Center and The Juilliard School are across the street in the other direction. 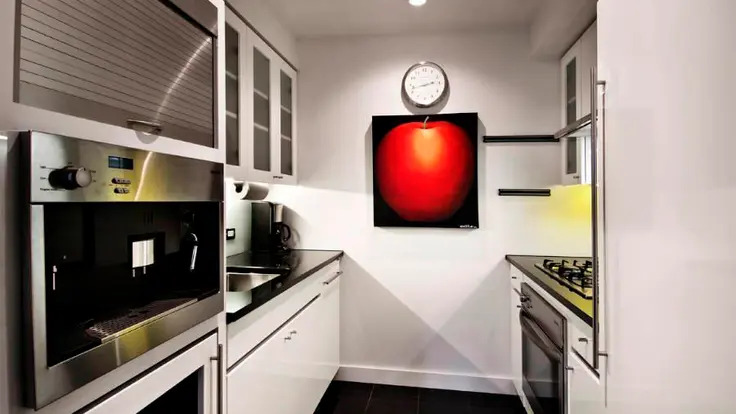 The surrounding neighborhood is lively and is home to Apple, Pottery Barn and Brooks Brothers, to name just a few nearby shops. 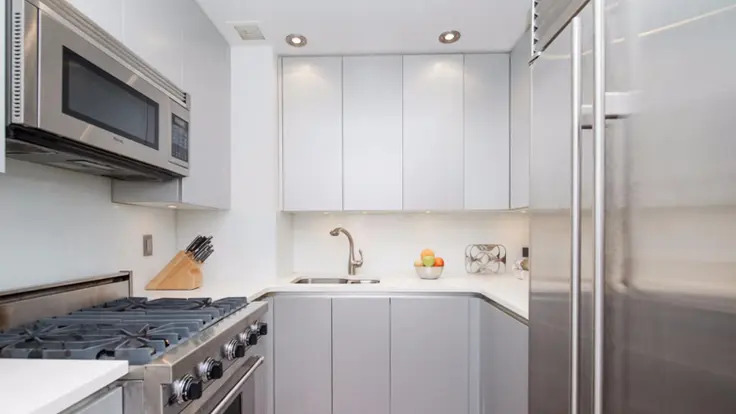 Restaurants range from fine dining to casual, and there is a large Whole Foods supermarket located just blocks away at Columbus Circle. 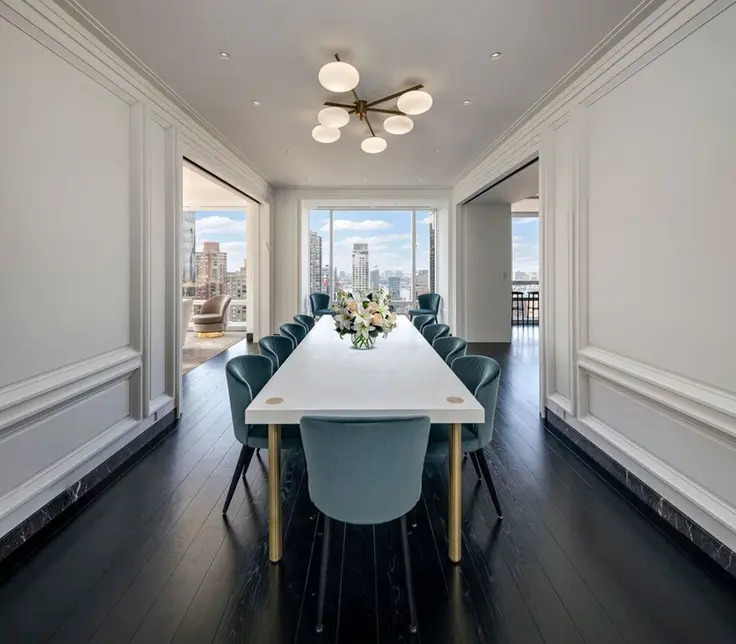 Opened in 2000, the Chatham at 181 East 65th Street was conceived by Robert A. M. Stern, the dean of the Yale School of Architecture. 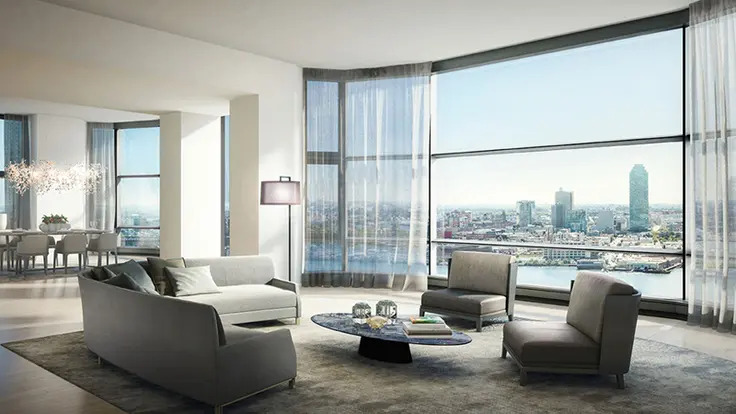 The design of the 34-story Chatham displays all of Stern’s virtuoso architectural skills. 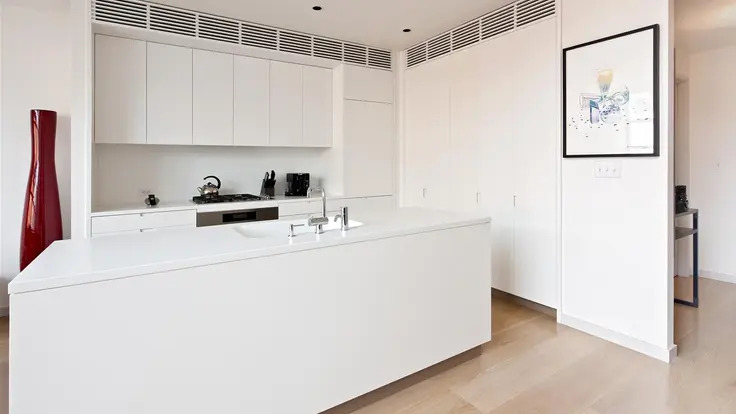 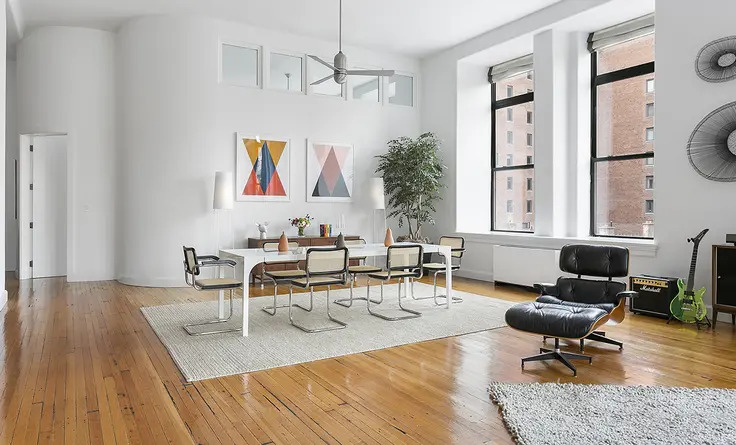 Inside, the 94 apartments feature classic layouts with fine finishes throughout, including solid wood doors, cherry wood floors and – most rare of all in post-war construction – plaster walls. 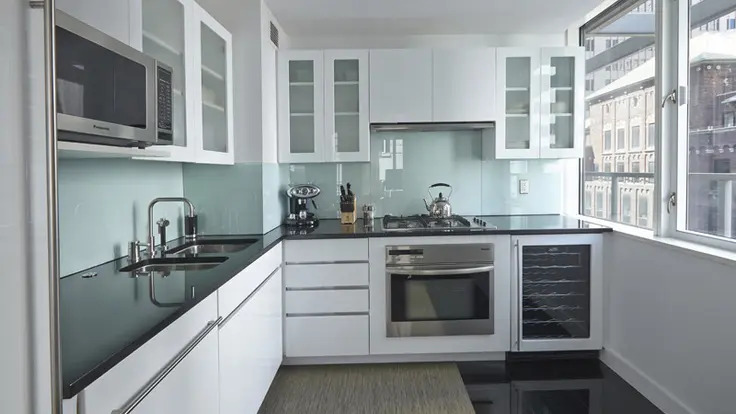 Modern kitchens have premium appliances and glass and ash-blond cabinets imported from France. 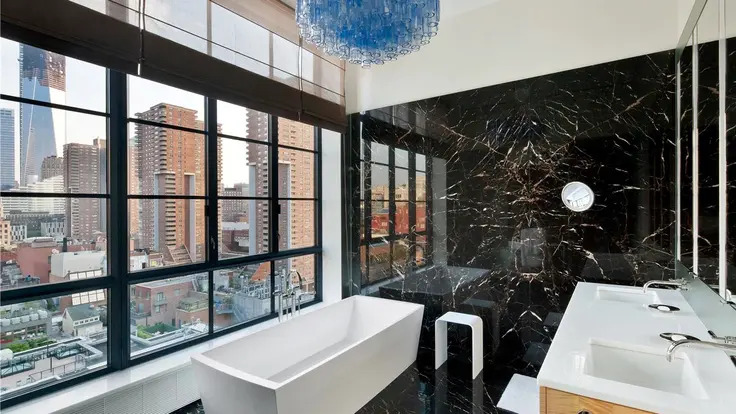 High-efficiency windows were imported from the Netherlands and bathrooms have marble floors and walls and topnotch fixtures. 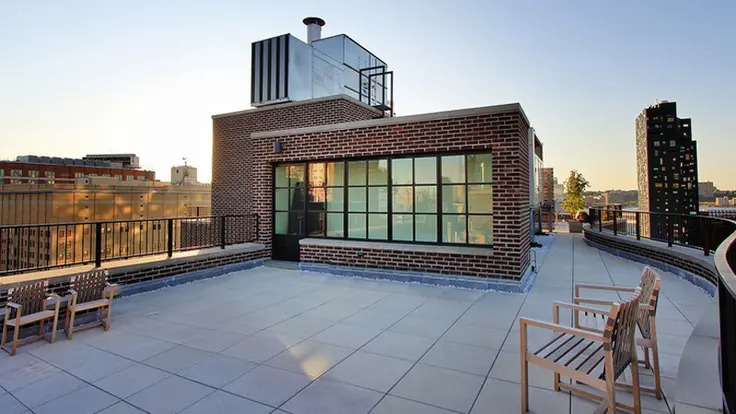 Several units have balconies or terraces. 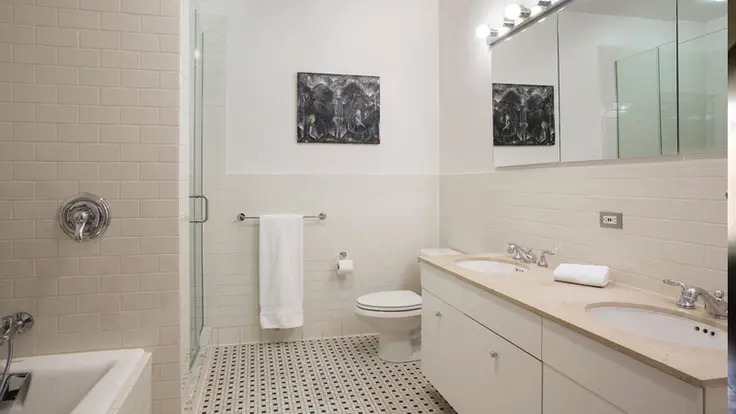 The Chatham’s amenities are impressive and include an on-premise garage, storage and bike rooms and a David Barton Gym. 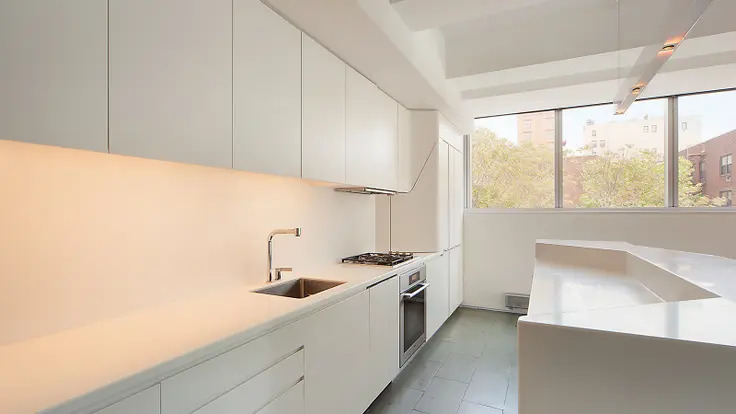 This very slick and very dramatic apartment building at 35 West 15th Street between Fifth Avenue and the Avenue of the Americas conjures a high-tech “grater,” and that’s meant as a high compliment. 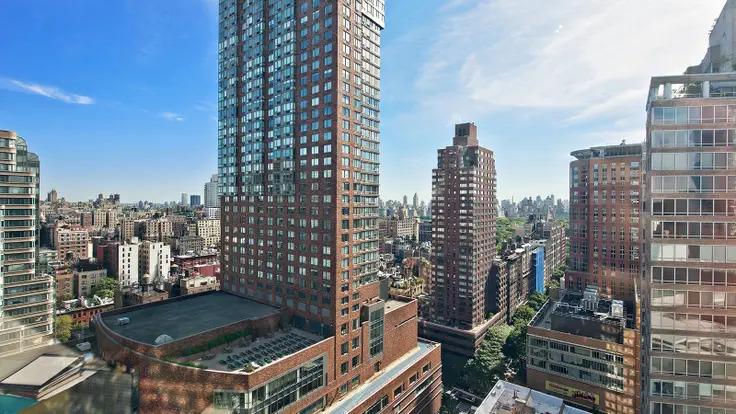 It does not slice and dice, or appear in late-night infomercials but unlike some new cantilevered projects it is nicely squeezed into its neighborhood and stands pretty freely in its skyline splendor. 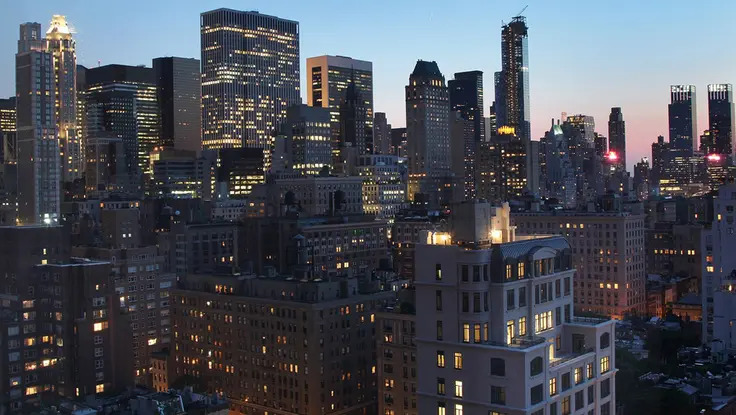 It is a fine representative of a new generation of New York apartment towers that are not comfortable with the city’s traditional, rigid geometry of right angles, or what the late Mel Kaufman, one of the city’s leading office building developers, liked to call “panels and rails” before he changed his philosophy and built 17 State Street, the great semi-cylindrical, reflective-glass tower facing the harbor. 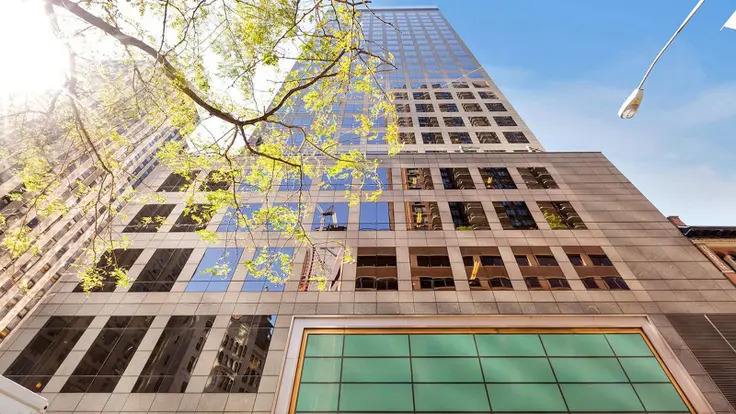 This mid-block tower, which is known 35XV, a reference to its address, is slightly cantilevered and its south and north façades are angled to align with the street’s “sky exposure plane” atop a 6-story base that is expansion space for the adjoining Xavier High School to the west, which is one of the city’s top Jesuit educational institutions. 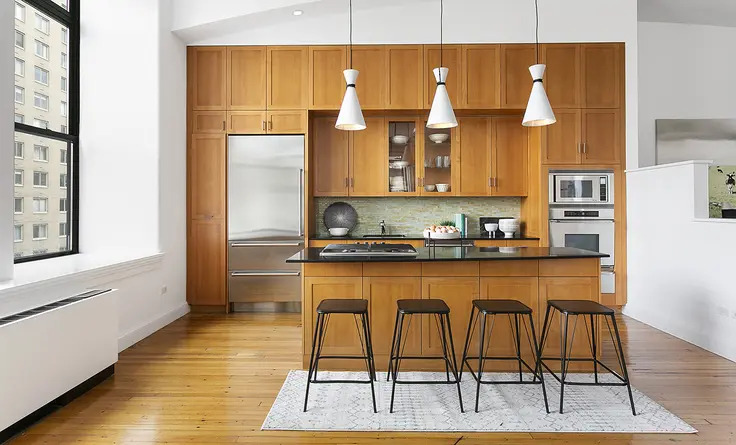 The mixed-use 35XV is near the school’s campus that includes a handsome church designed by Patrick Keely. 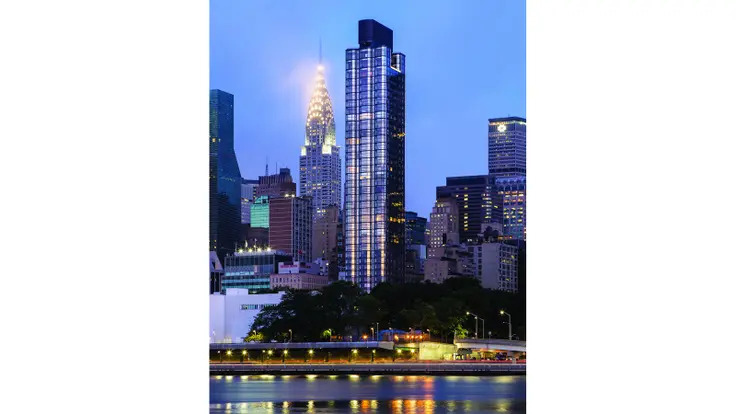 The base of the new building will be used by the school and has been designed by Beyer Blinder Belle and its residential tower has been designed by FXFOWLE and will contain 59 condominium apartments upon completion in 2014. 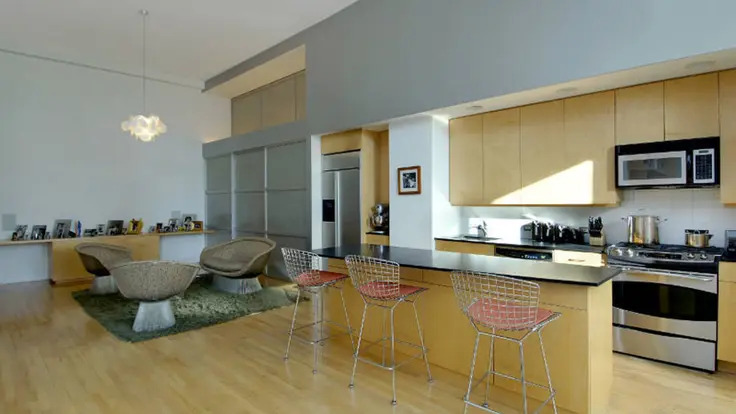 Alchemy Properties was the developer. 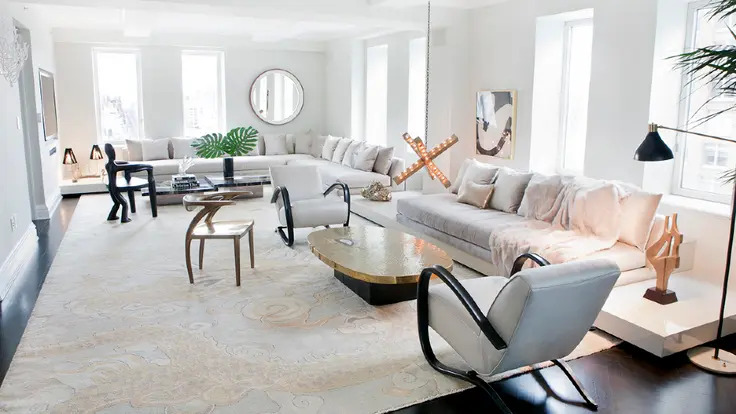 Benjamin Noriega-Ortiz was the interior designer for the project. 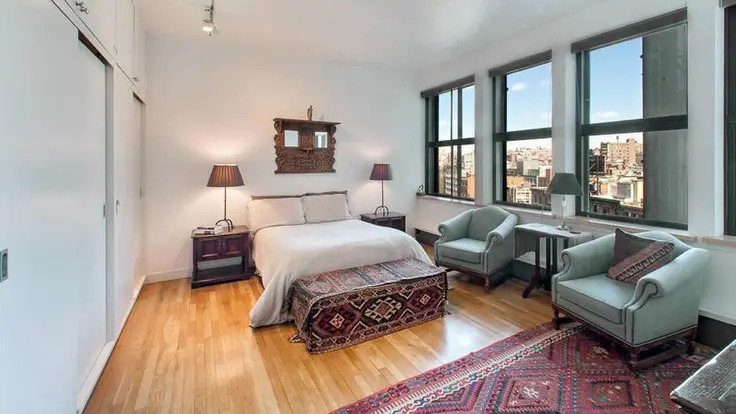 Originally built in 1904, the Greenwich at 65 West 13th Street was converted into apartments in 2001. 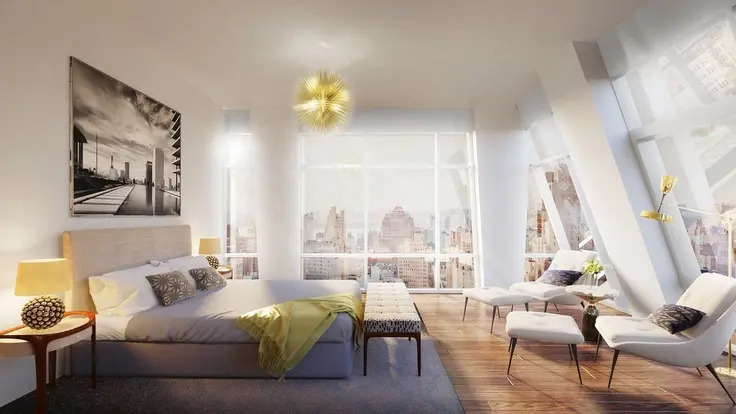 Residences, which range in size from 1,000 to 3,000 square feet, have oversized windows and ceiling heights between 11 and more than 14 feet. 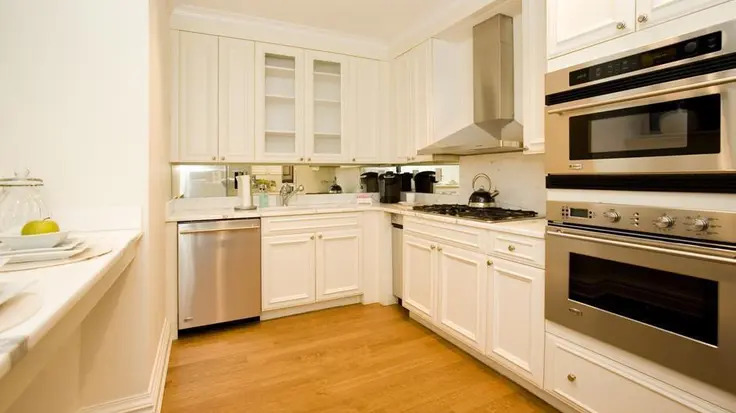 Apartments have gracious open living areas and fully-equipped kitchens with modern appliances, maple wood cabinets and granite counters. 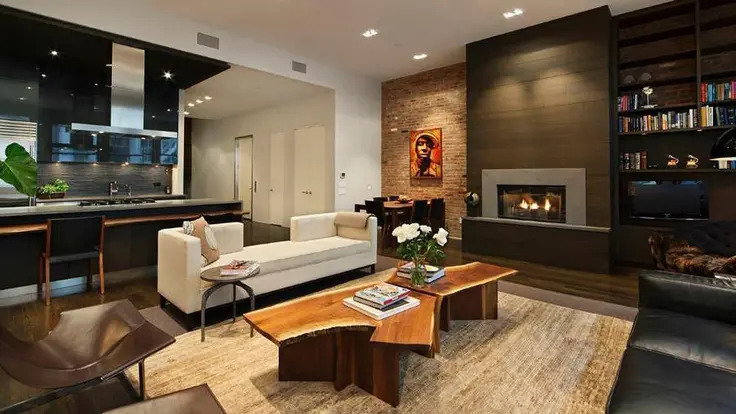 Some of the terraced penthouses are duplexes with fireplaces. 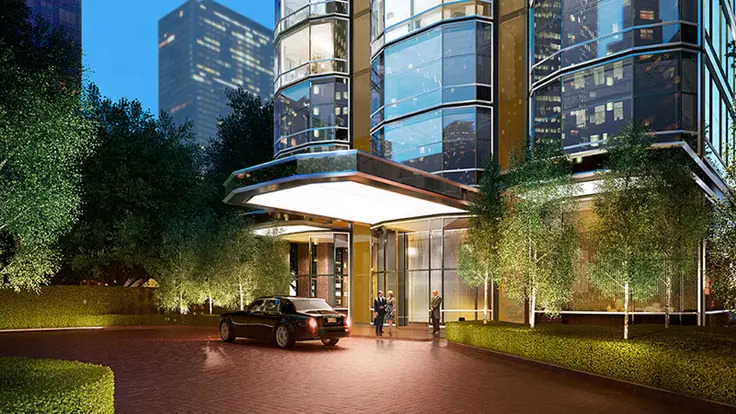 Amenities at the Greenwich include a 24-hour attended lobby, a bike room, basement storage and one of downtown’s most beautiful common roof terraces with sweeping city views. 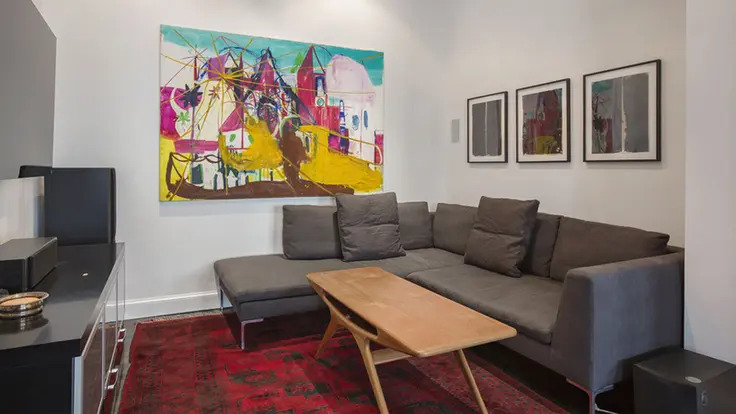 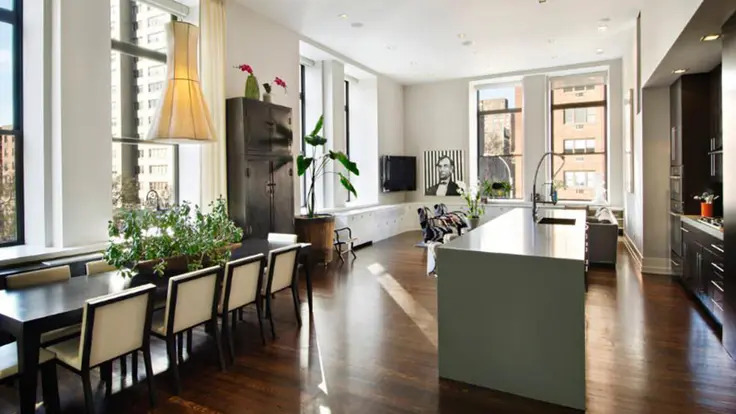 Nearly every major subway stop is nearby and 65 West 13th Street is also close to Union Square and Chelsea, the latter of which is home to many art galleries and restaurants. 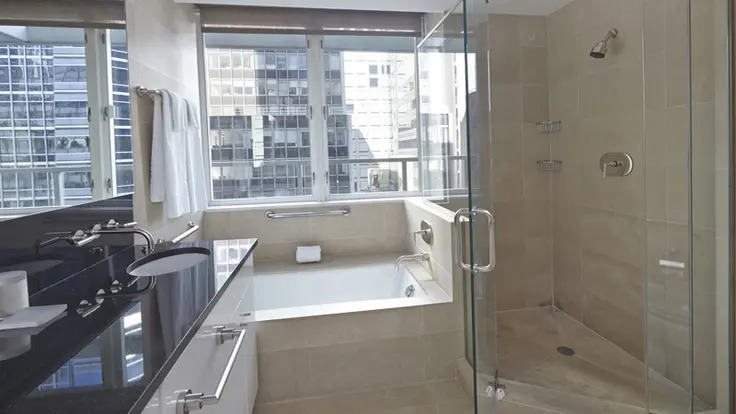 Trump Tower at 721 Fifth Avenue is a glass tower located between 56th and 57th streets in Midtown. 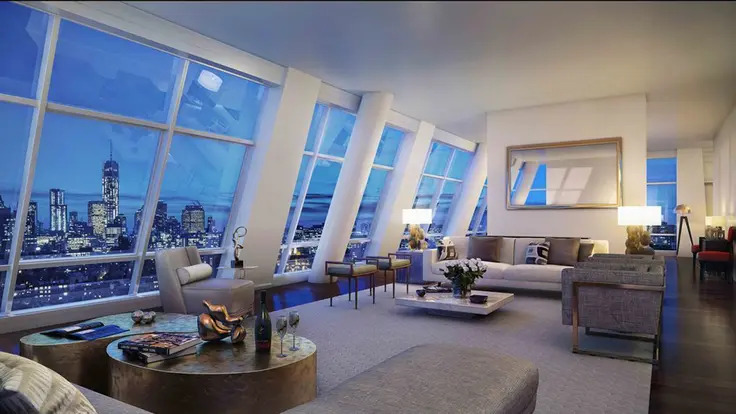 Developed by Donald Trump, 721 Fifth Avenue sports a distinctive design that creates many corner windows with breathtaking views. 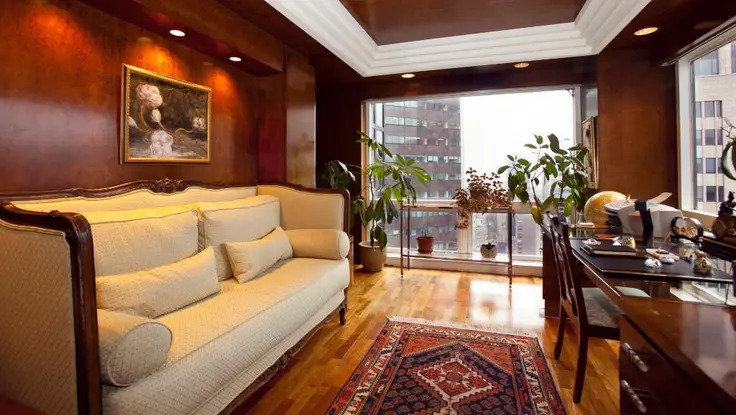 Residential condominiums are located on the highest 38 floors of this 58-story tower and include nine duplex and triplex penthouses on the top nine floors. 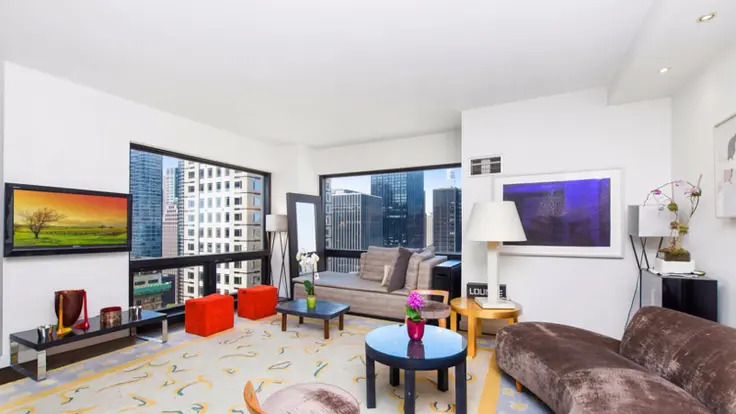 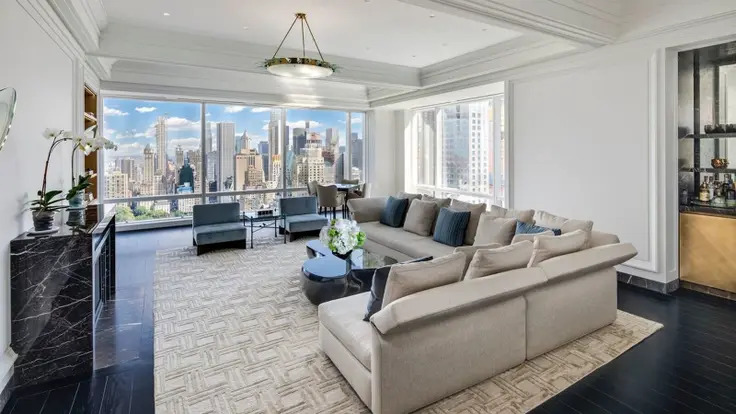 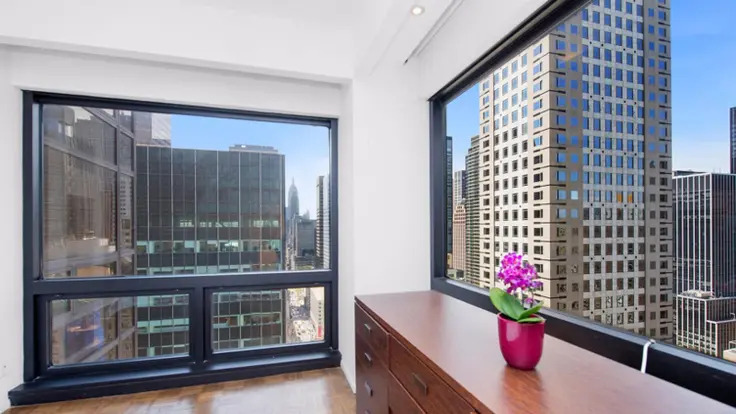 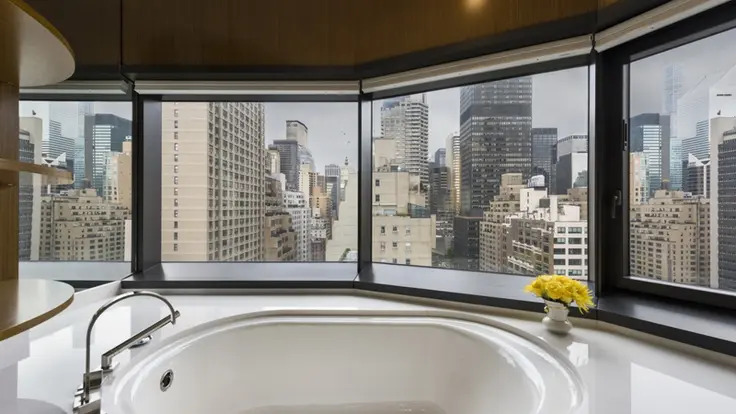 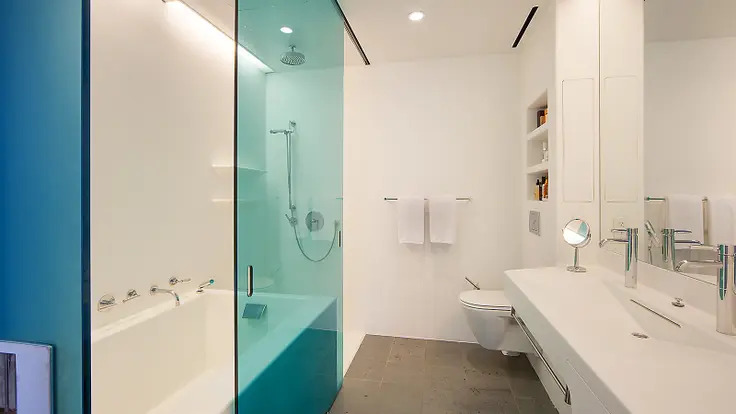 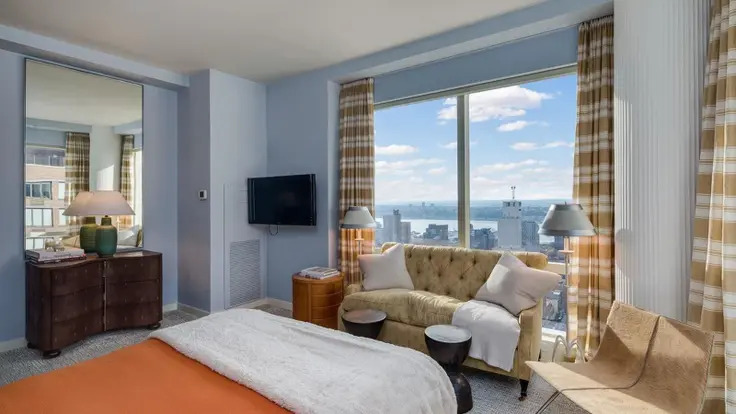 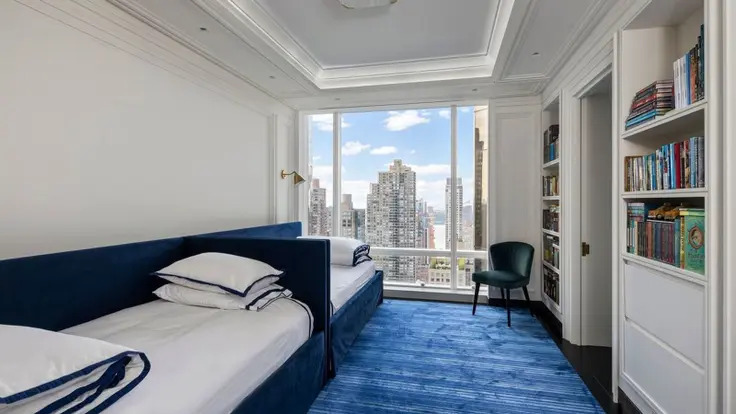 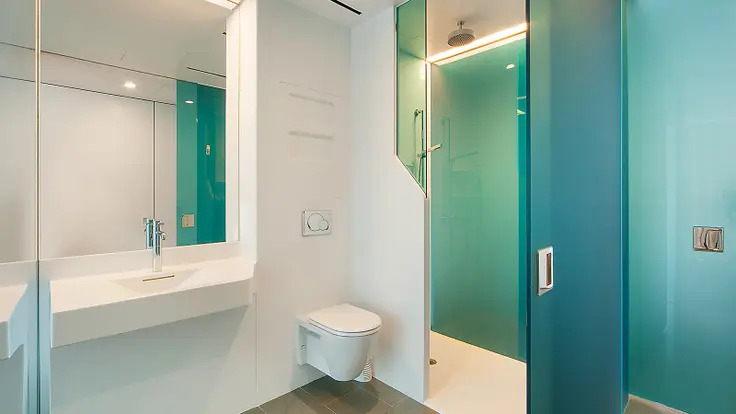 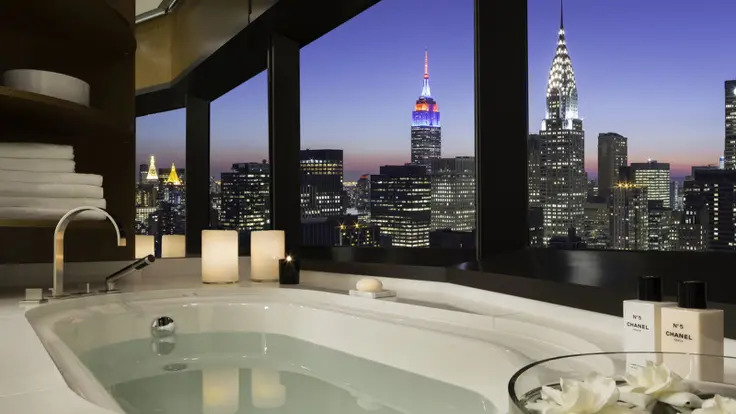 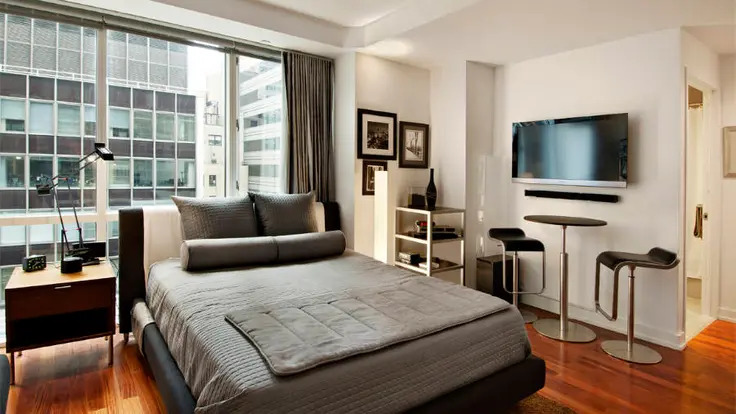 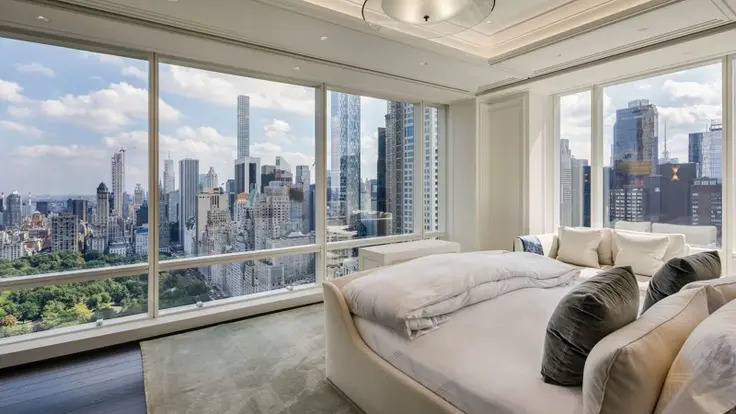 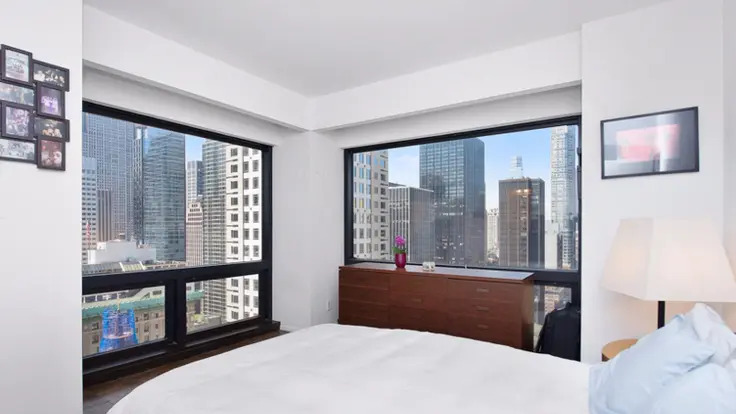 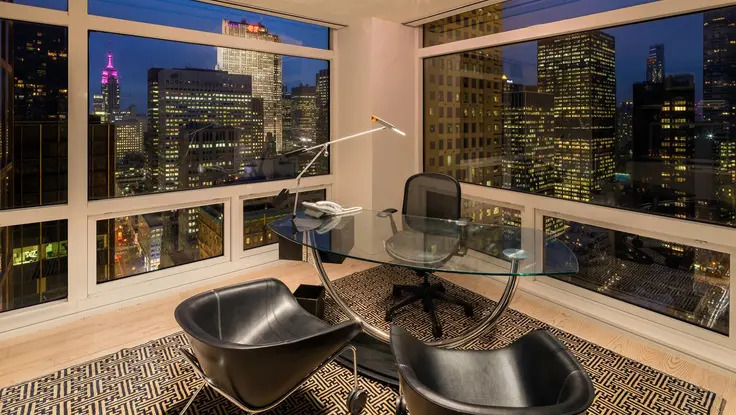 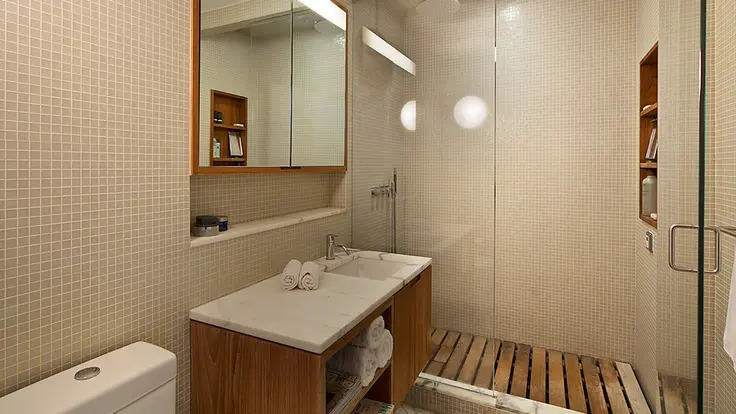 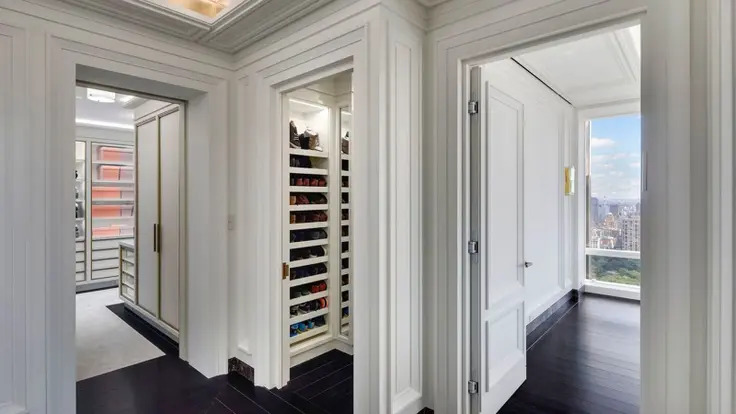 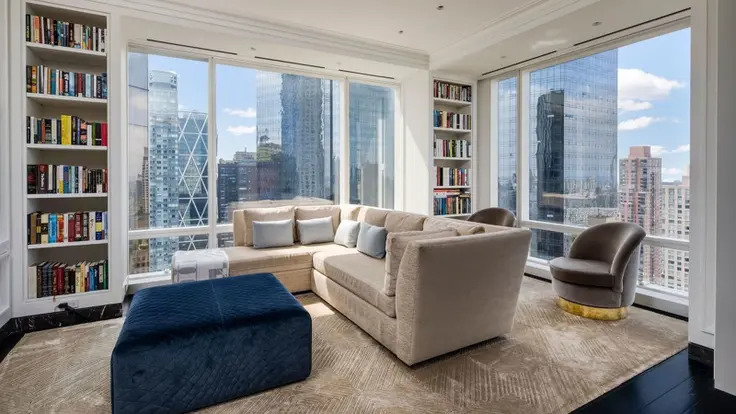 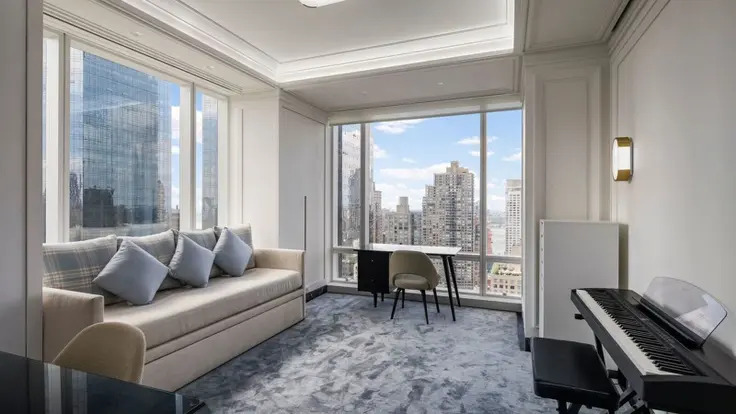 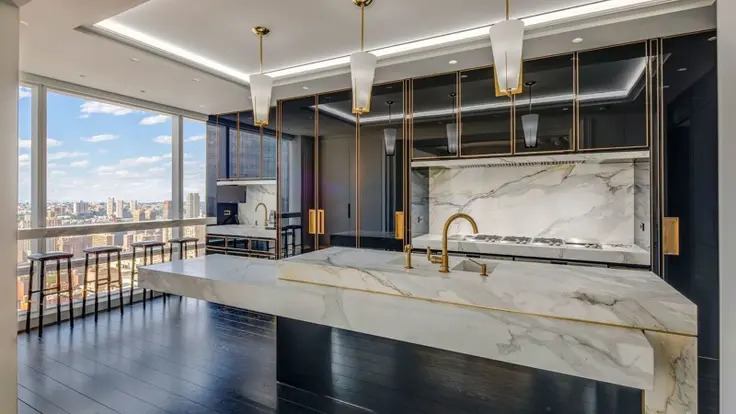 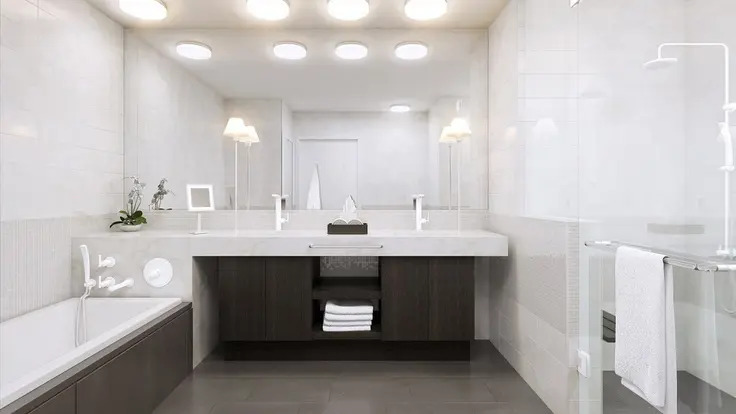 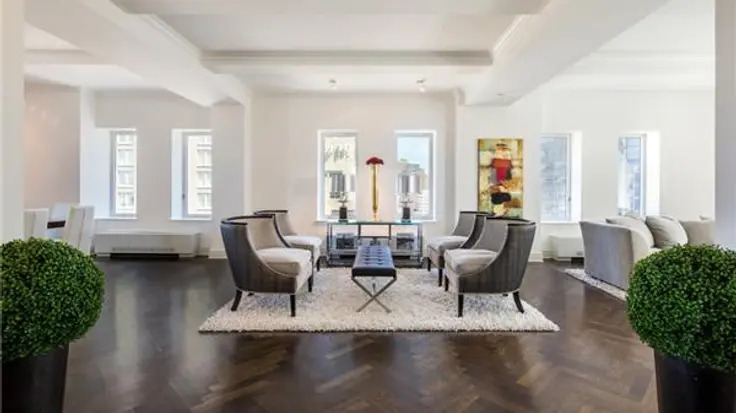 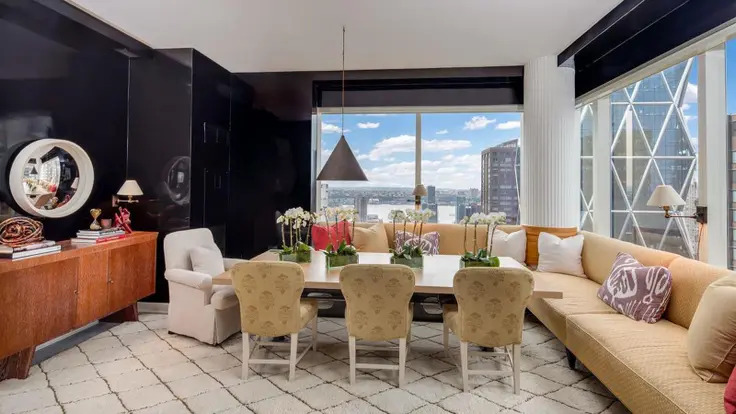 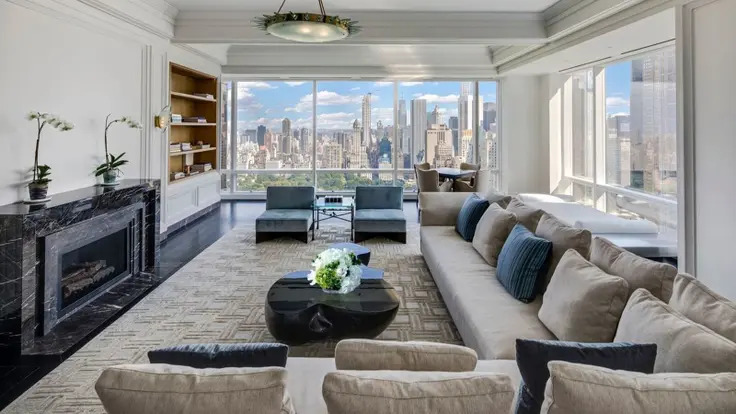 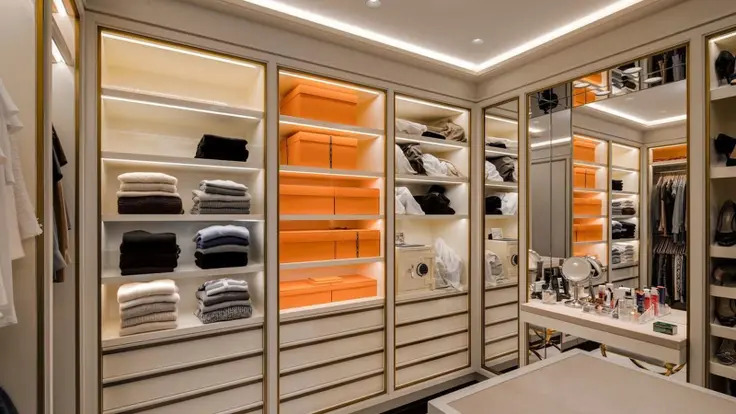 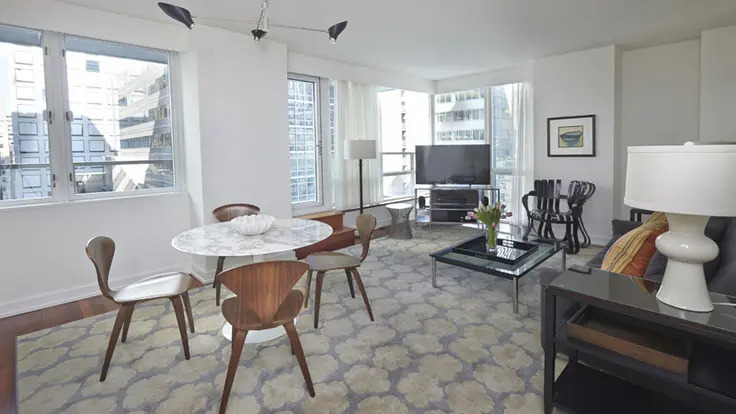 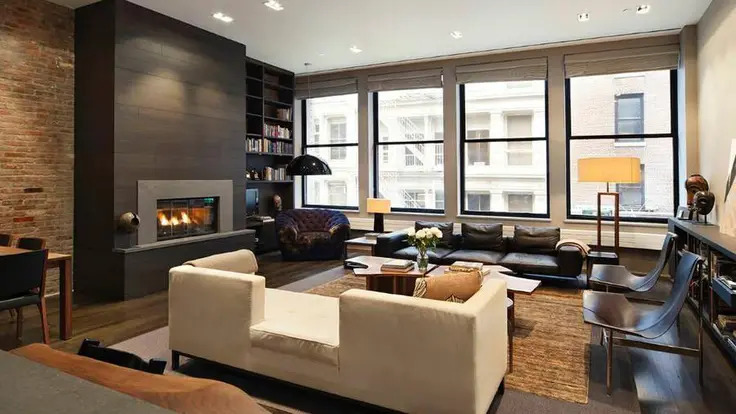 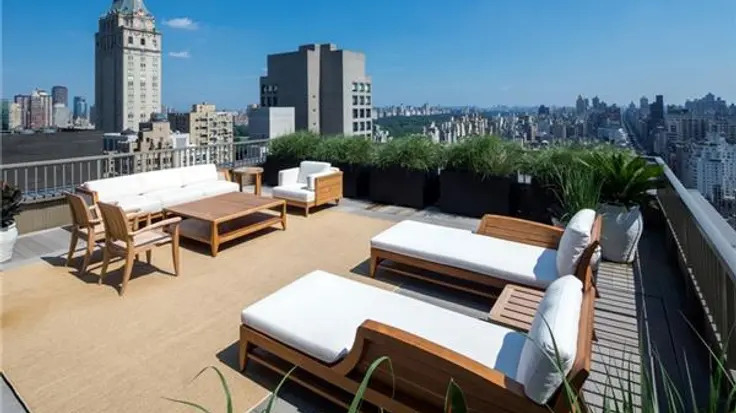 Many of the Trump Tower apartments have been renovated and feature marble bathrooms, Jacuzzi bathtubs, wood and stone floors, custom kitchen cabinets, state-of-the-art appliances, numerous walk-in closets and washer and dryers. 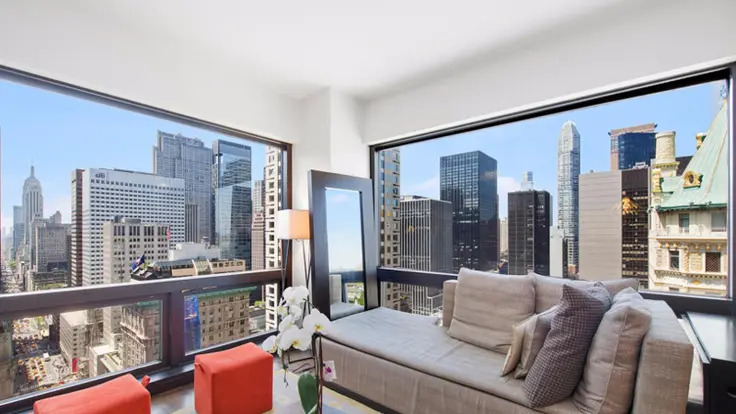 The building’s spacious condos also offer panoramic views of the New York City skyline, Central Park and the rivers. 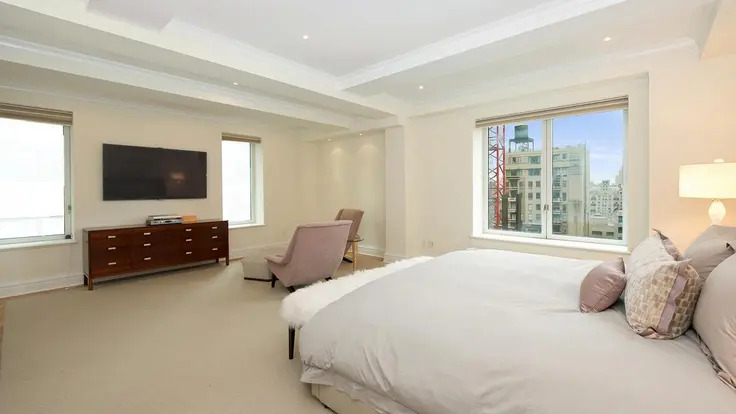 Amenities include a full-time doorman, valet, a fitness room, maid service and a common storage room. 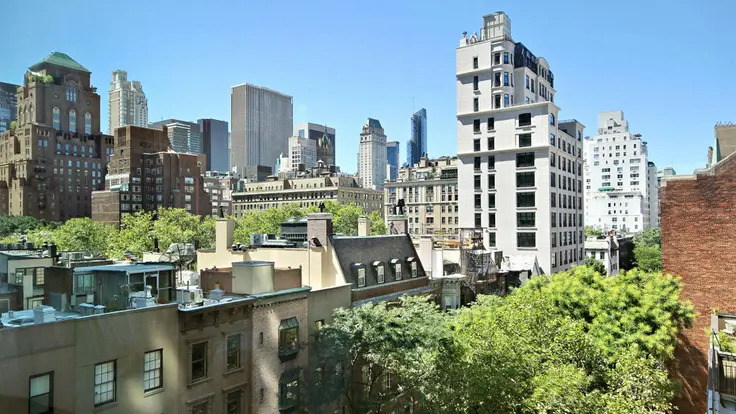 Such retailers as Bergdorf Goodman and Tiffany & Co. are nearby, as are well-known restaurants. 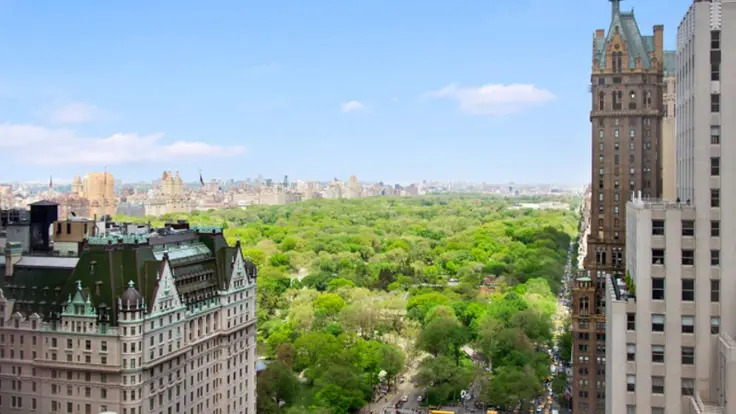 Central Park and the Plaza Hotel are two blocks away and the area is convenient to most public transportation. 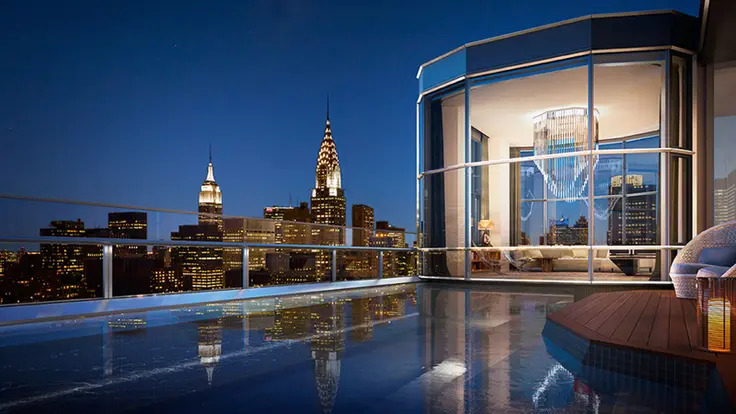 The 43-story tower at 50 United Nations Plaza, completed in 2015, was developed by Zeckendorf Development and Global Holdings and designed architects Foster + Partners. 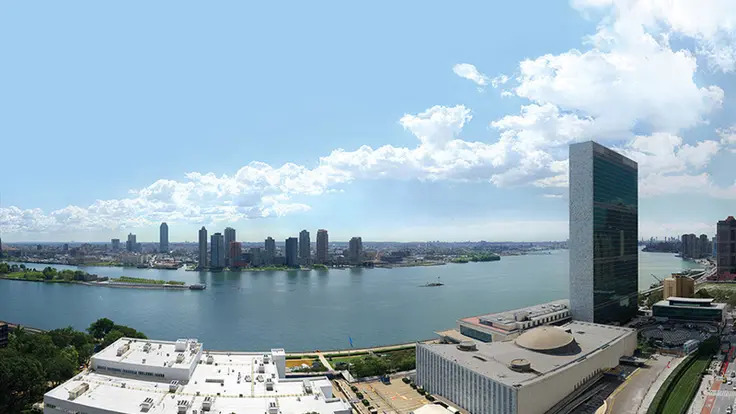 The Midtown East building, which was completed in 2015, is across the street from the United Nations. 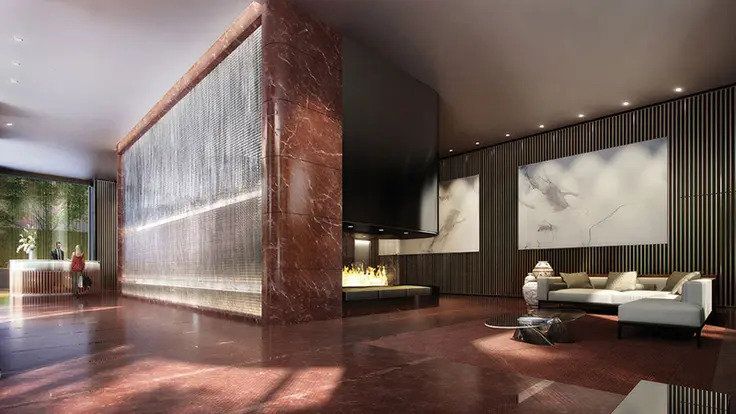 The condo has a gated entry that opens onto a landscaped motor-court. 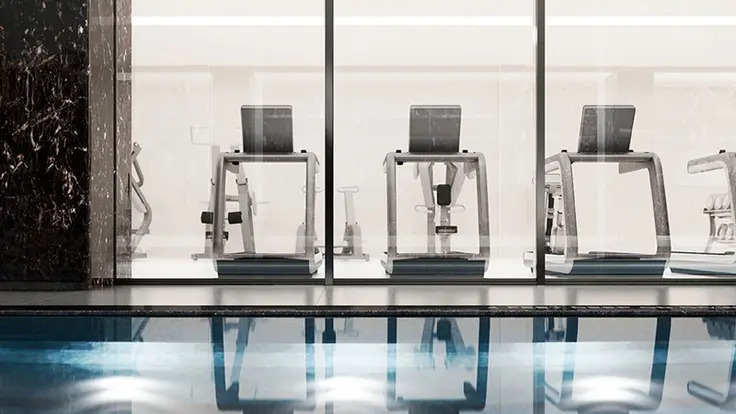 The building’s health and fitness center features a 75-foot swimming pool, a fitness center, sauna, steam room and treatment room. 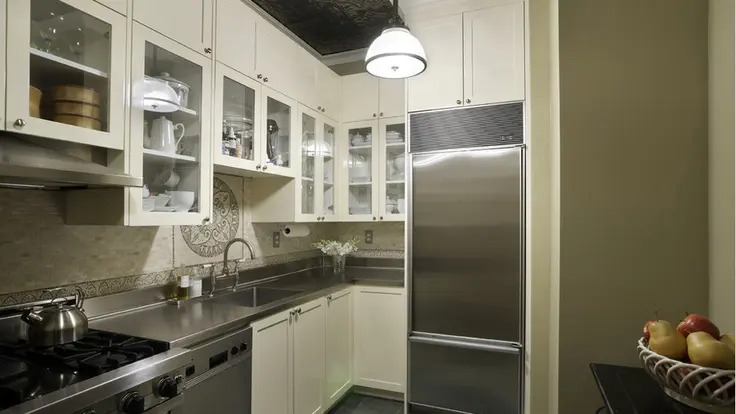 A conference room, children’s playroom, ancillary laundry facilities, cold storage for groceries and bike storage round out the amenities. 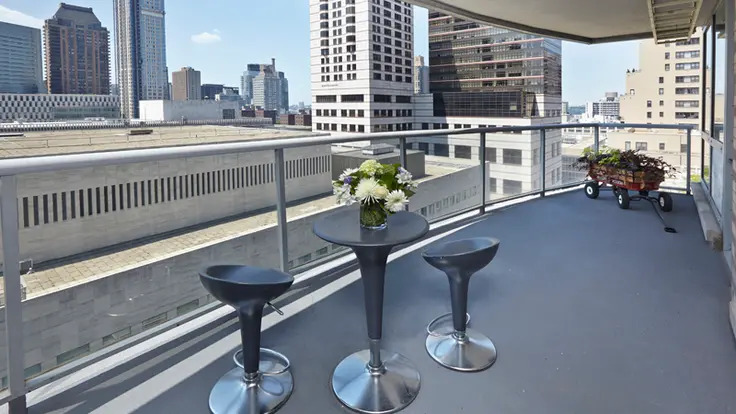 The staff of 50 United Nations Plaza includes a resident manager, concierge, doormen, valet, and porters. 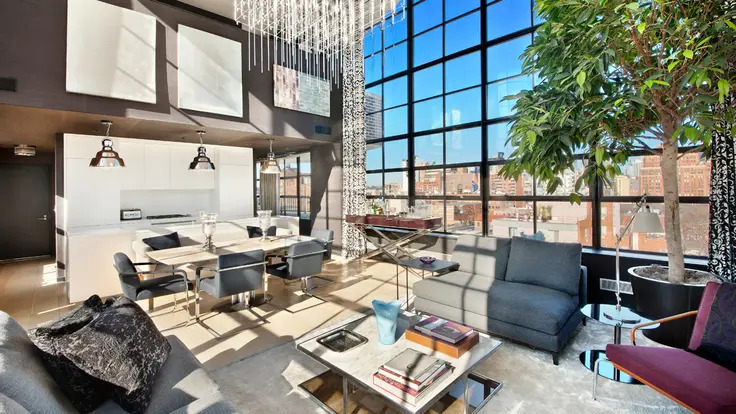 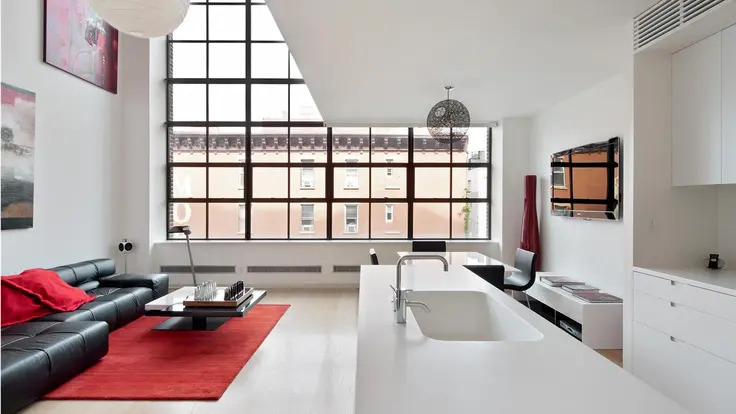 456 West 19th Street is located in Chelsea between Ninth and Tenth Avenues and was designed by Cary Tamarkin. 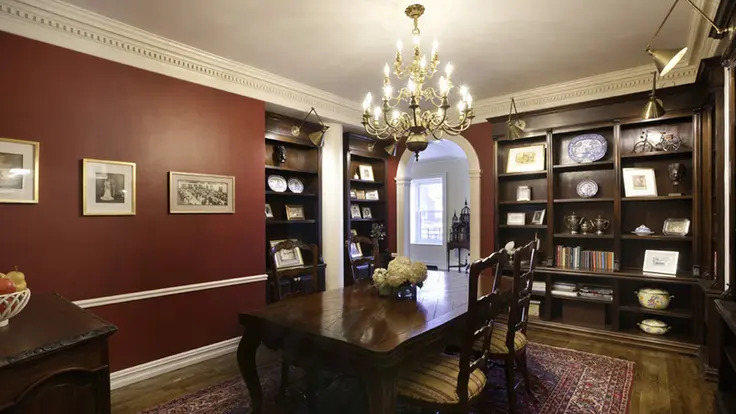 It is distinguished by its top half, which is set back and curved. 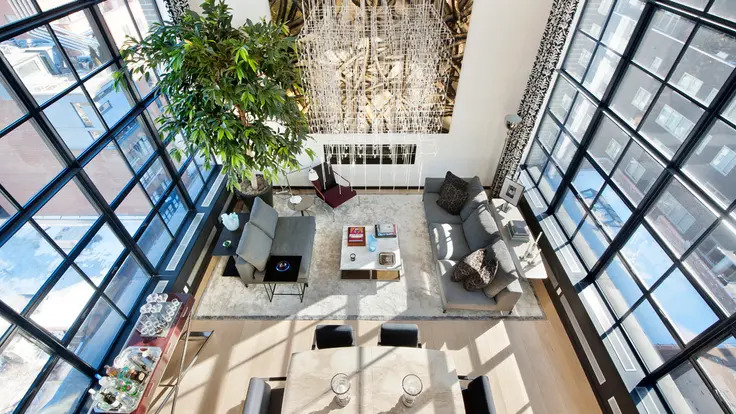 It is near the High Line, an elevated park that stretches along the Hudson River, and, after two years of construction, opened in 2010. 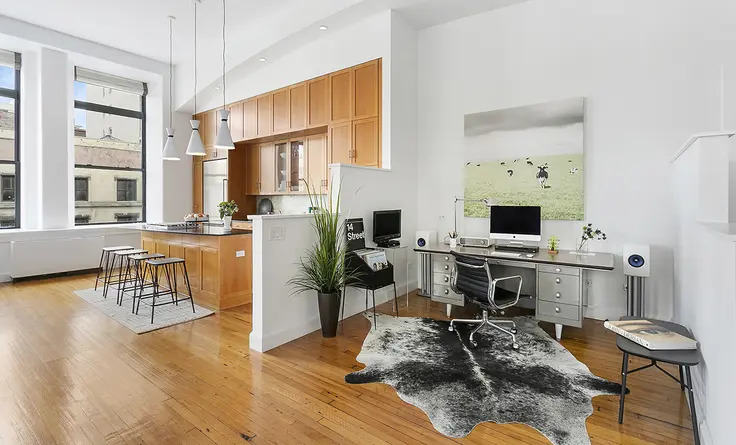 456 West 19th Street contains 22 duplex units that are light-filled and spacious, ranging from 1,100 to 3,000 square feet. 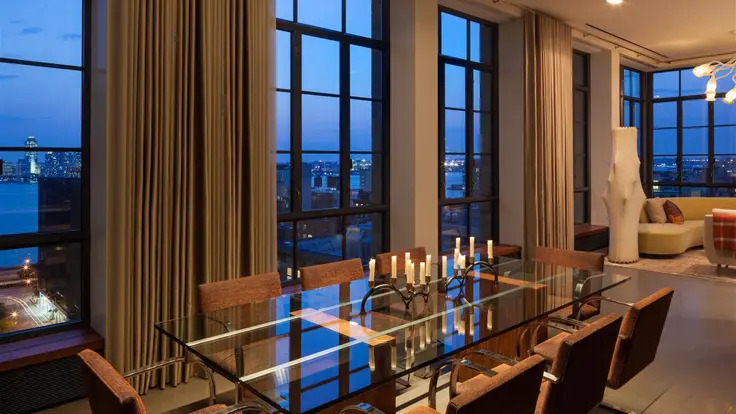 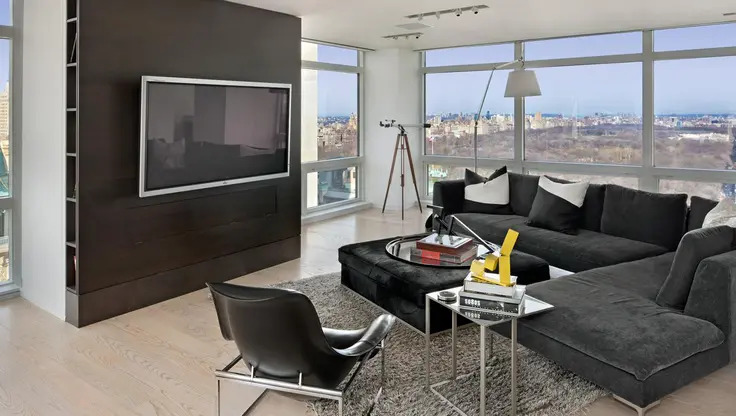 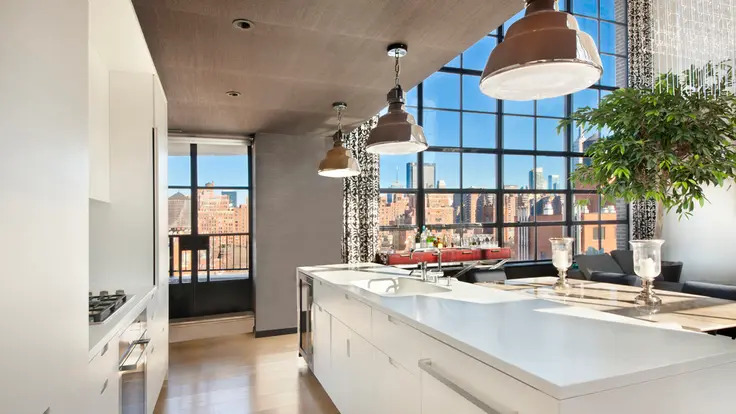 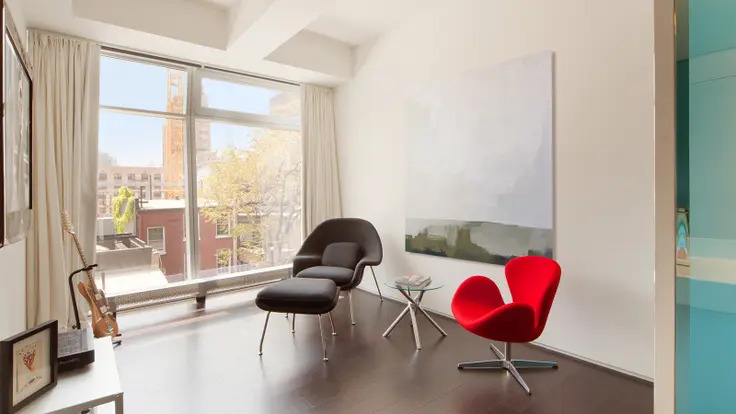 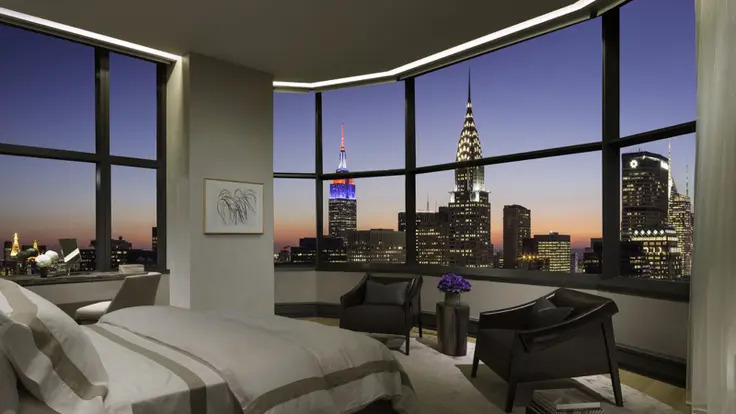 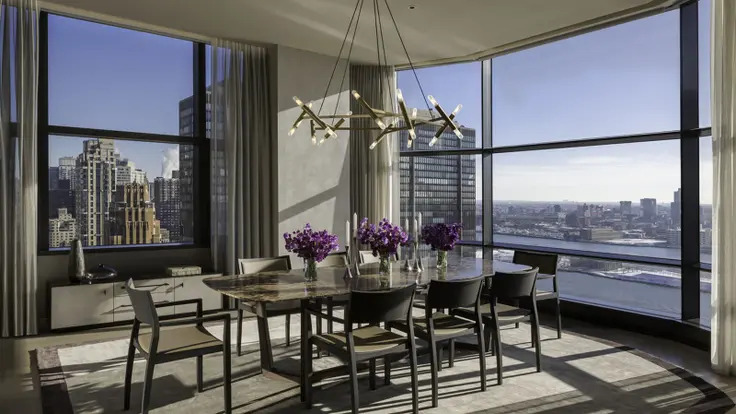 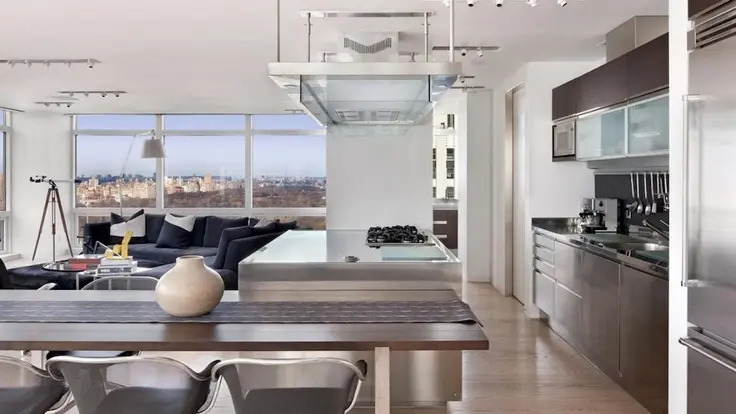 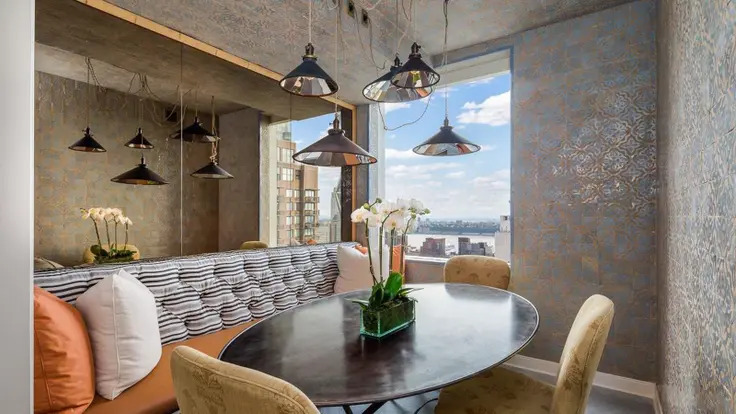 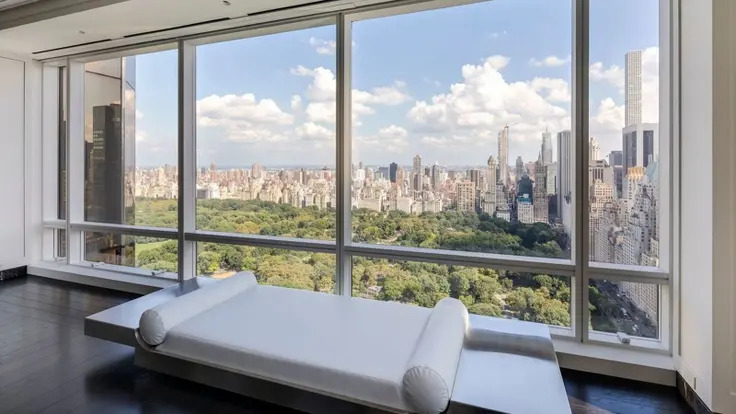 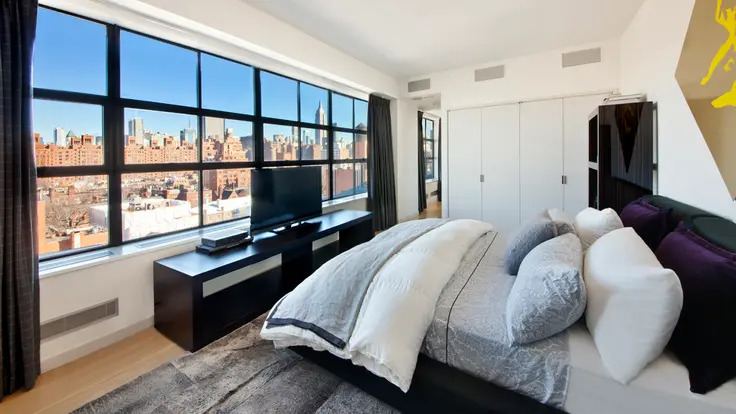 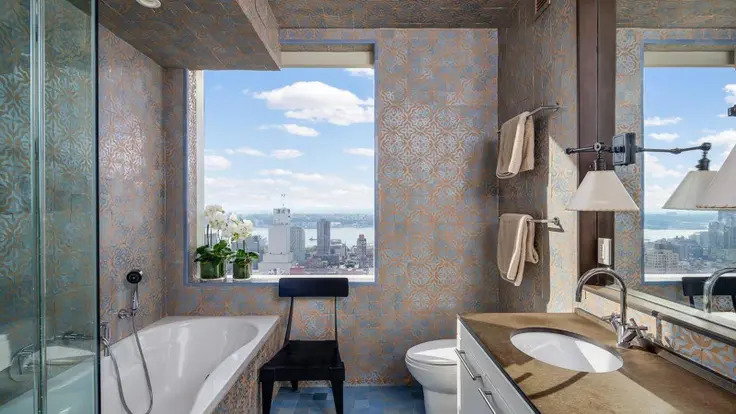 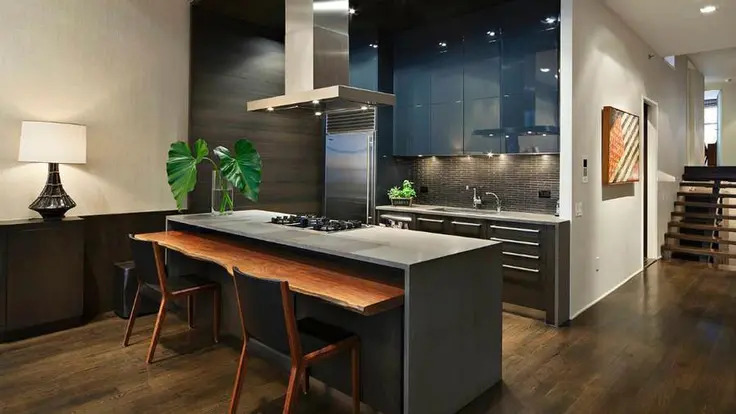 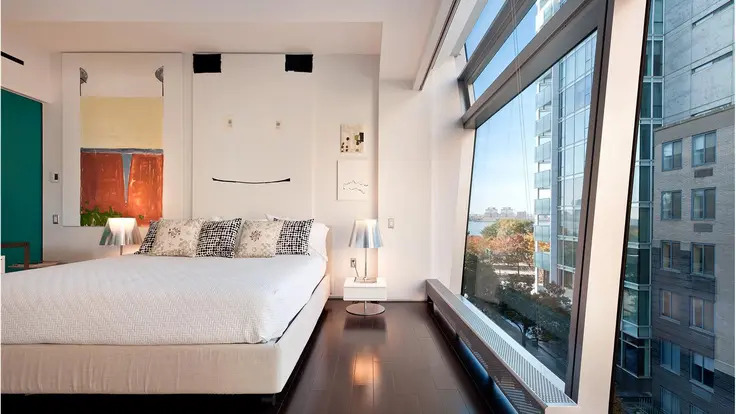 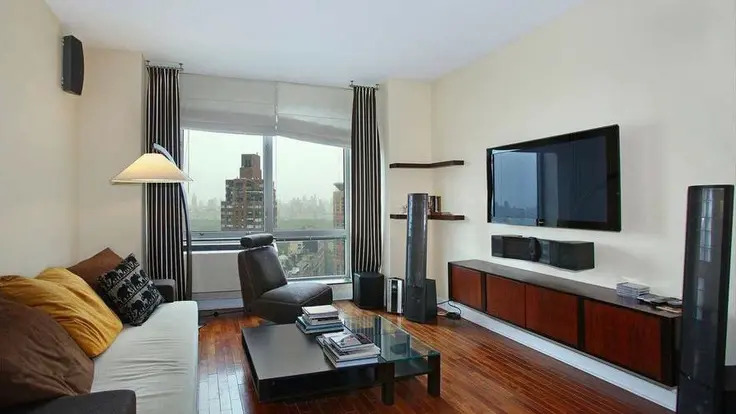 Residences also feature large windows offering expansive views of the Manhattan skyline and Hudson River and kitchens and bathrooms equipped with modern appliances from Miele and Sub Zero and premium, Arne Jacobsen fixtures. 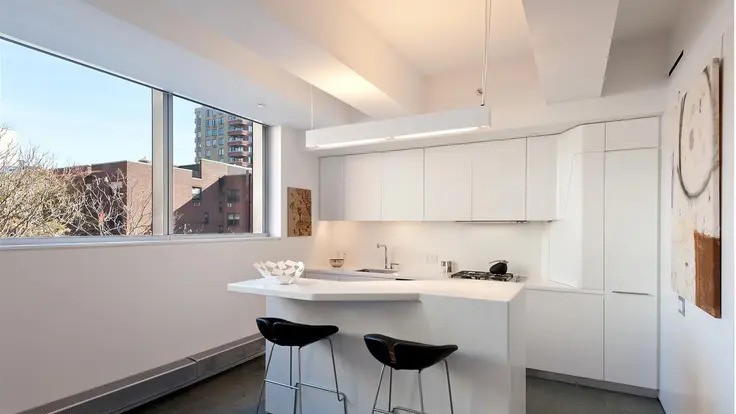 456 West 19th Street amenities include an attended lobby, central air conditioning, a roof deck and washer and dryer units. 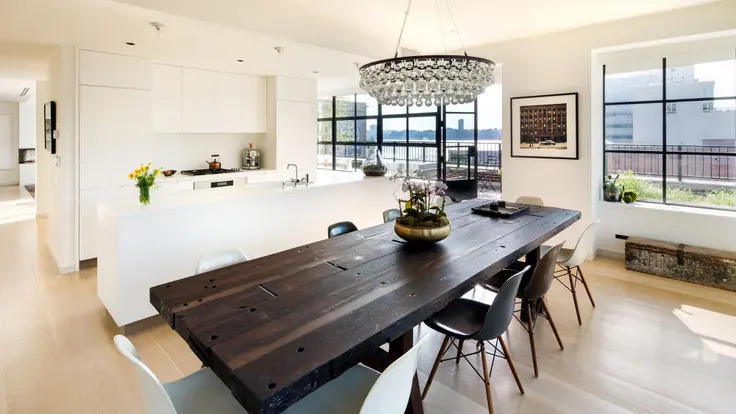 It is also located close to the neighborhood’s shops, restaurants and art galleries, as well as the Chelsea Piers entertainment complex. 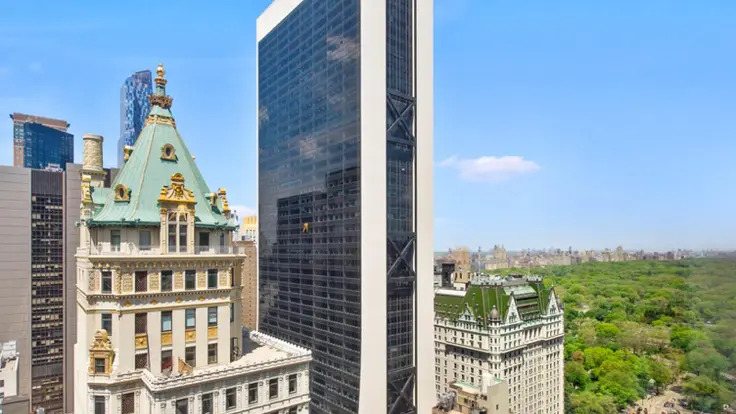 Located at 230 West 56th Street, the Park Imperial contains the headquarters of the publishing company Random House on its lower floors and 101 apartments beginning on the 48th floor. 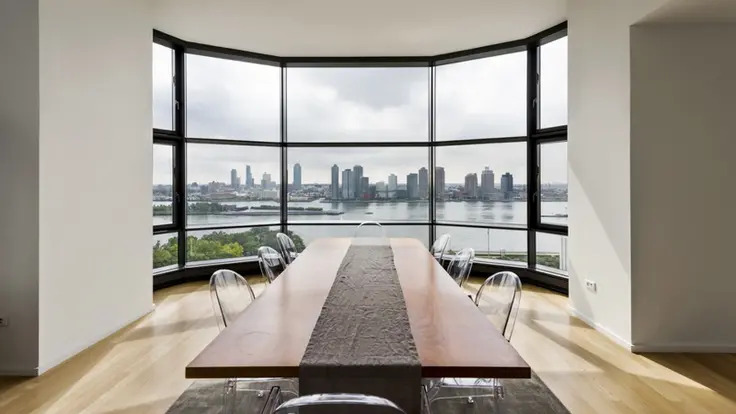 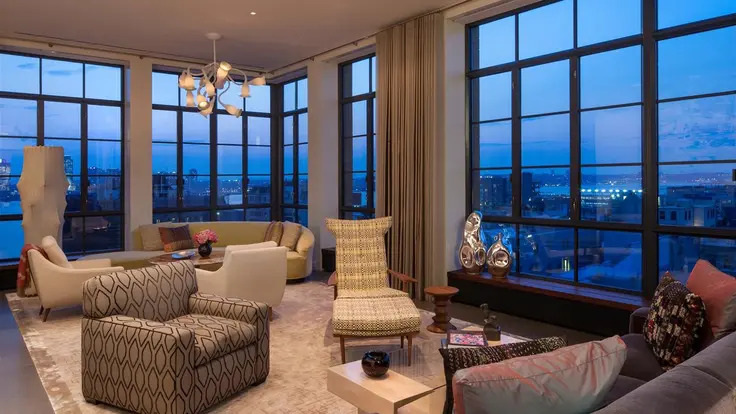 Residences are distinguished by their large windows that offer exceptional views of Manhattan, the Hudson River and Central Park. 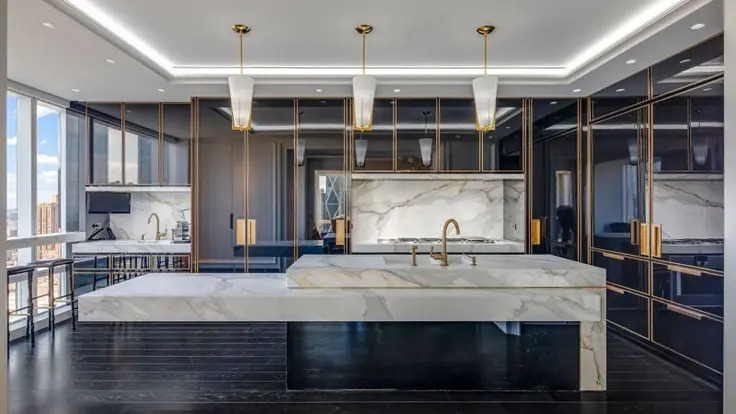 Apartments also feature ebony-stained mahogany floors, 10-foot-high ceilings and marble bathrooms, among other modern touches. 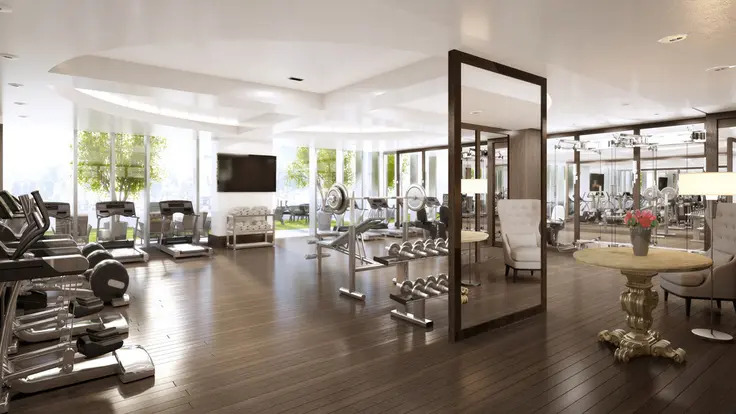 Amenities in the pet-friendly Park Imperial include a 24-hour doorman, a full-service garage, a health club and a private residents’ lounge. 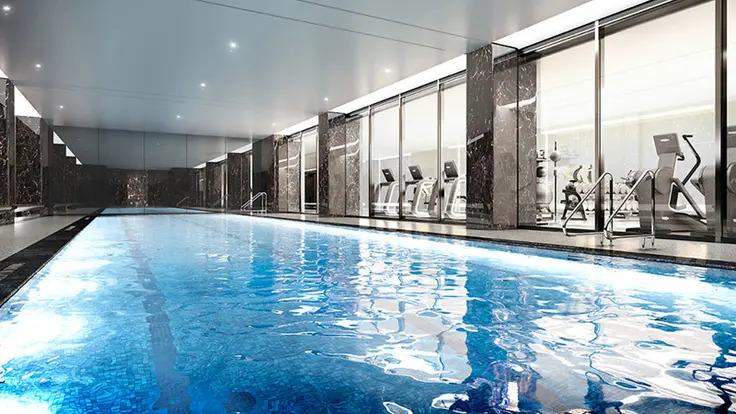 Residents also have access to the Imperial Club on the 47th floor, which boasts state-of-the-art fitness and business centers. 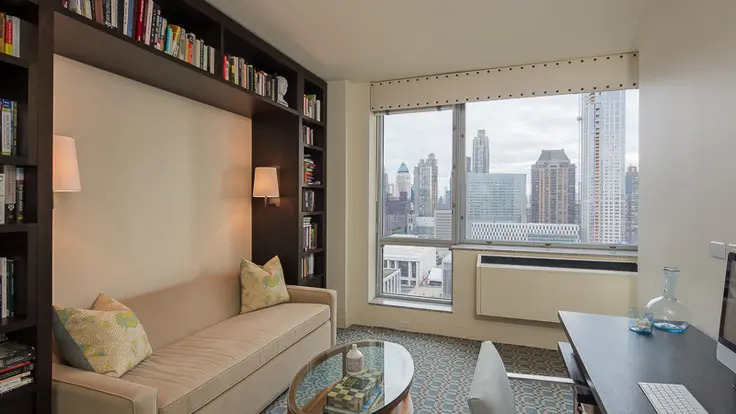 The Park Imperial is close to Central Park, Columbus Circle and the Theater District. 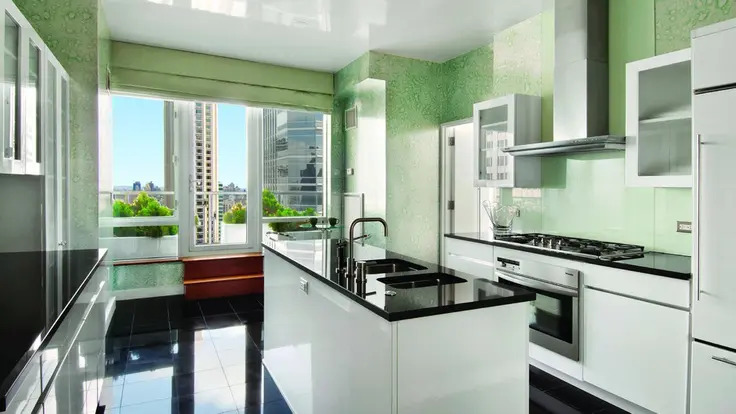 Completed in 2005 and designed by world-renowned architects Kohn Pederson Fox, Park Avenue Place has 76 units. 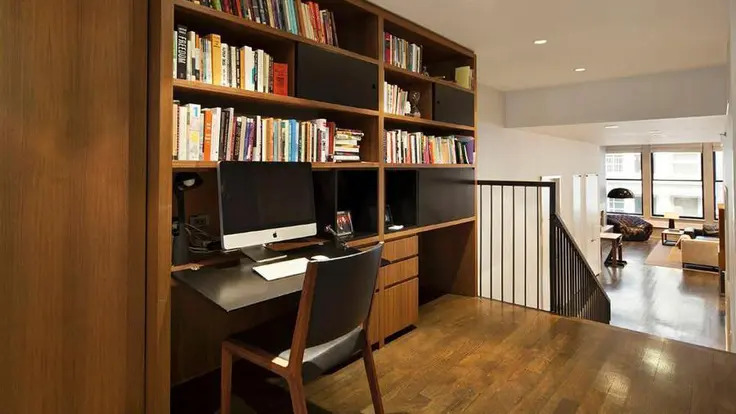 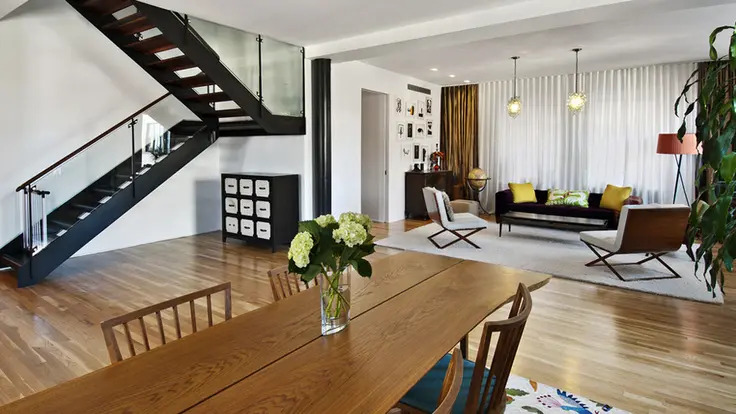 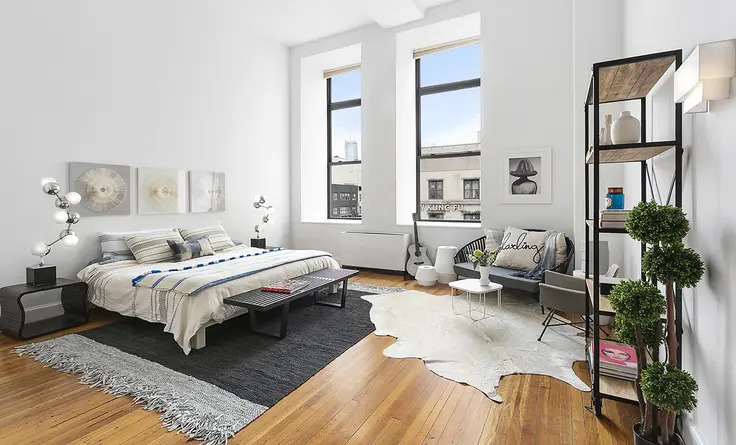 The lower floors are a mix of studio and one-bedroom apartments, and the upper floors include one-, two-, and three-bedroom homes. 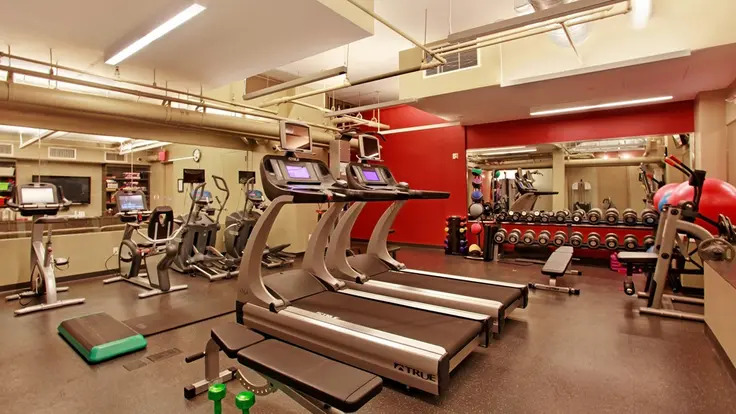 Residents of the building enjoy access to the Core Club, which has a restaurant and bar, screening room, conference room, fitness center and spa. 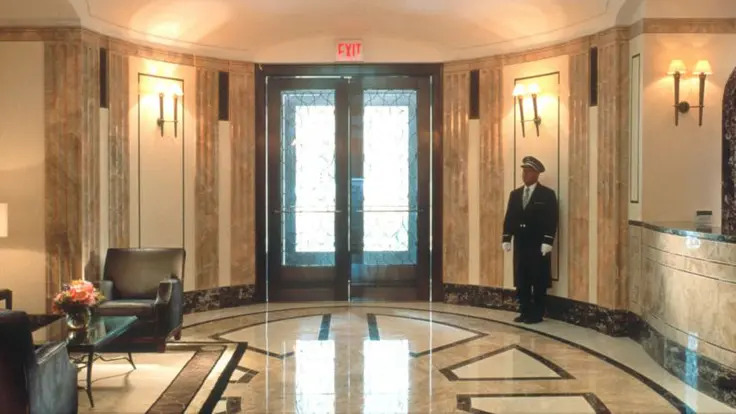 Building amenities include a 24 doorman, porters, and resident superintendent. 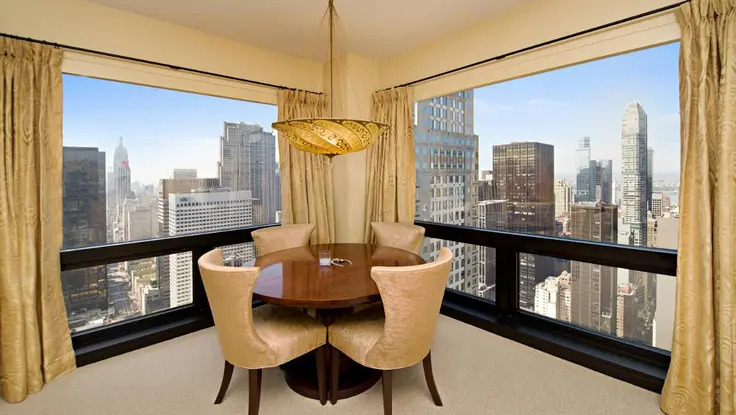 Located in Midtown East between Park and Madison avenues, Park Avenue Place is close to the E, M, and 6 subway lines. 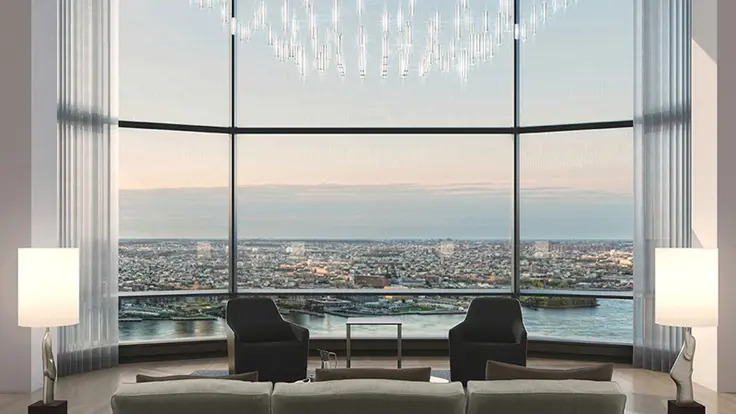 The stunning design of the 8-story, mid-block residential condominium building at 166 Perry Street between West and Washington streets by Asymptote, of which Hani Rashid and LiseAnne Couture are the principals, is distinguished by its vertical undulating façade. 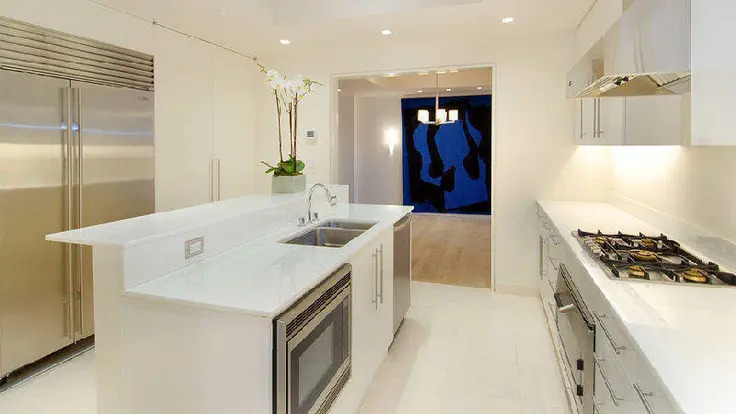 The project was developed by Charles Blaichman, Richard Born, Ira Druckier and Bella Sekons. 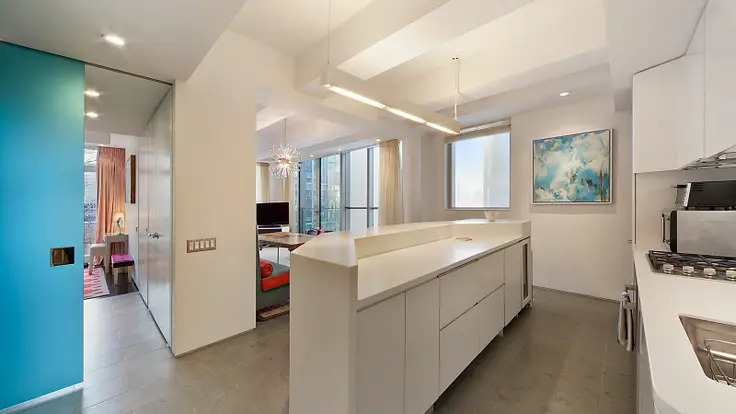 Mr. Blaichman, Mr. Born and Mr. Druckier were the developers of two of the three, nearby, famous, 16-story, modernist glass towers designed by Richard Meier along West Street. 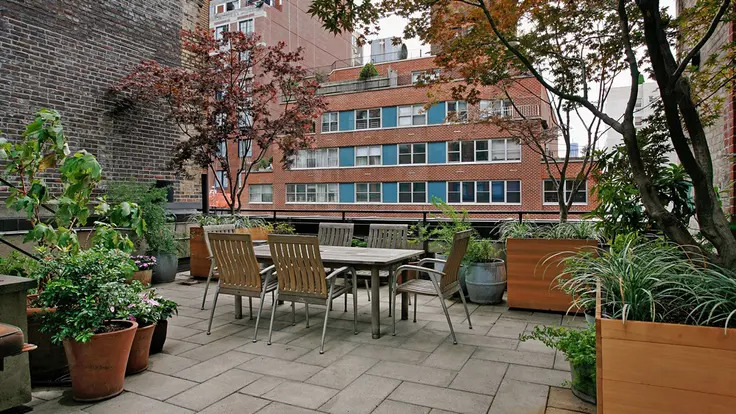 The building, which extends through the block to Charles Lane, has 24 apartments. 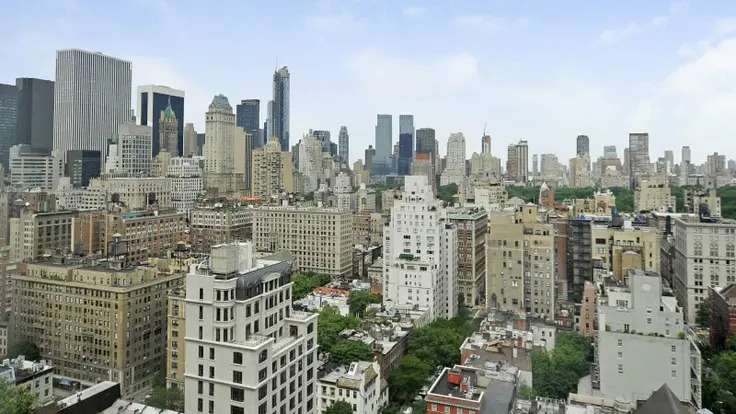 It was completed in 2008. 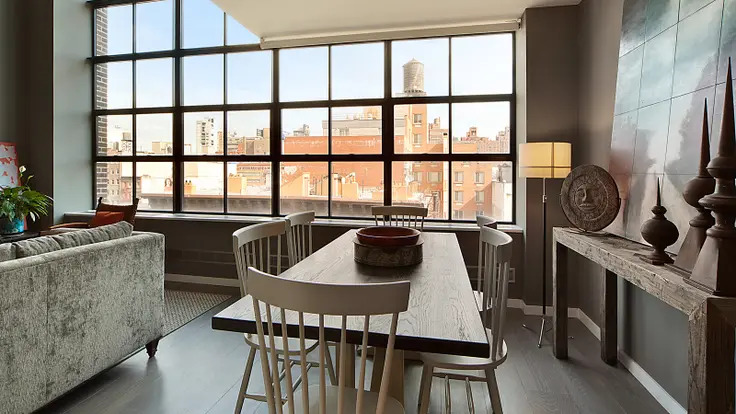 The American Thread Building is located at 260 West Broadway in TriBeCa. 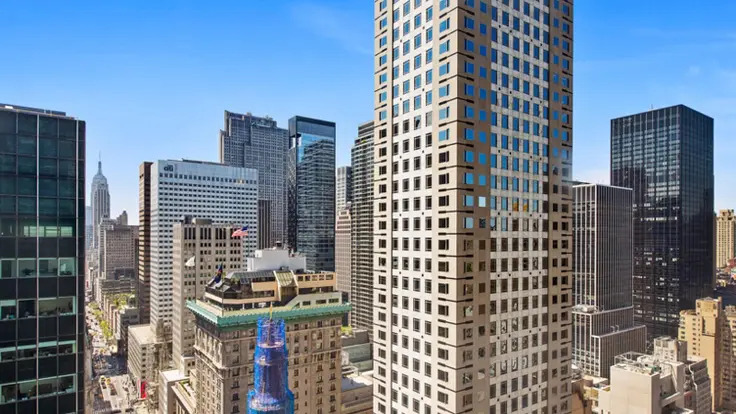 260 West Broadway was formerly known as the Wool Exchange Building, as its developers had hoped it would enable New York to overtake Boston as the center of the nation's wool trade. 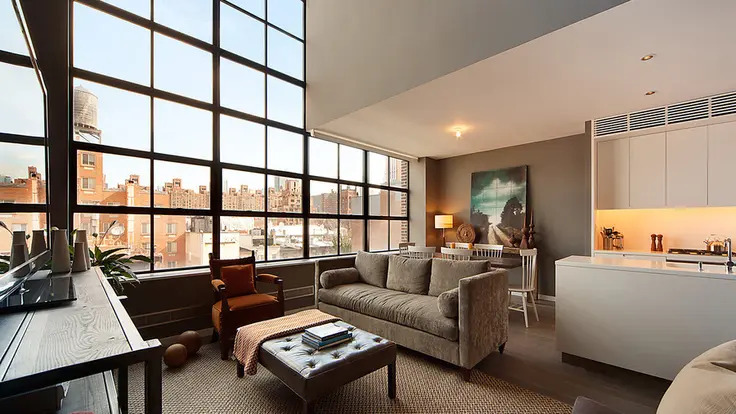 Their subsequent failure allowed the American Thread Company to move into the site, which was converted into loft-style apartments in 1980 and retains the company's name. 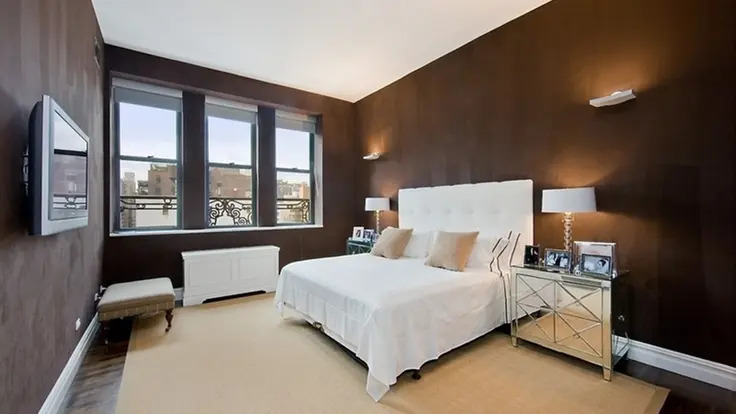 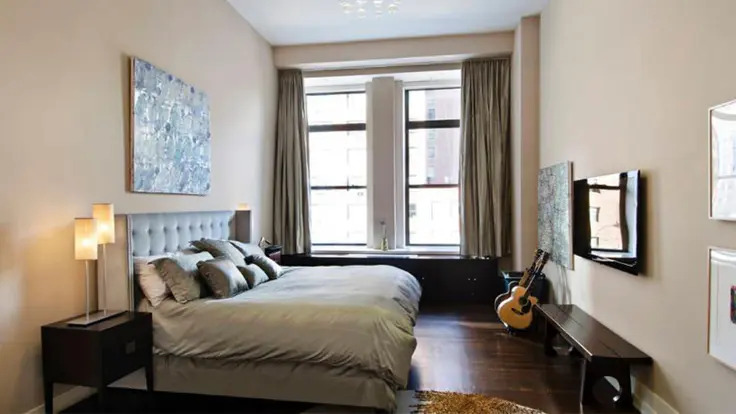 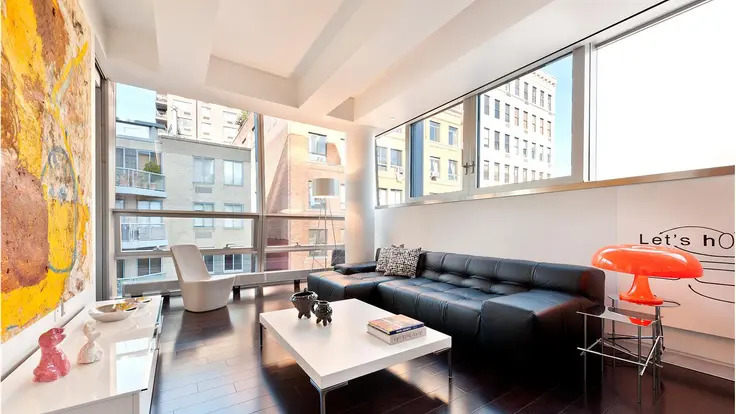 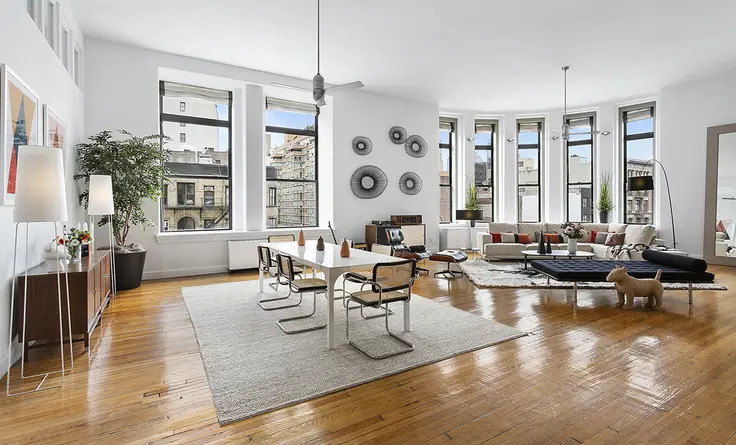 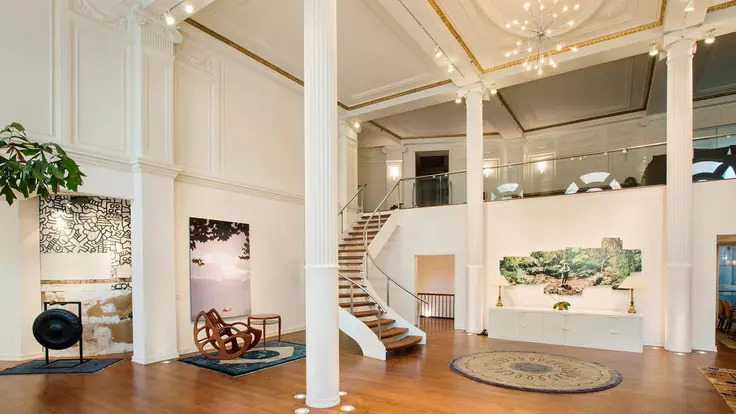 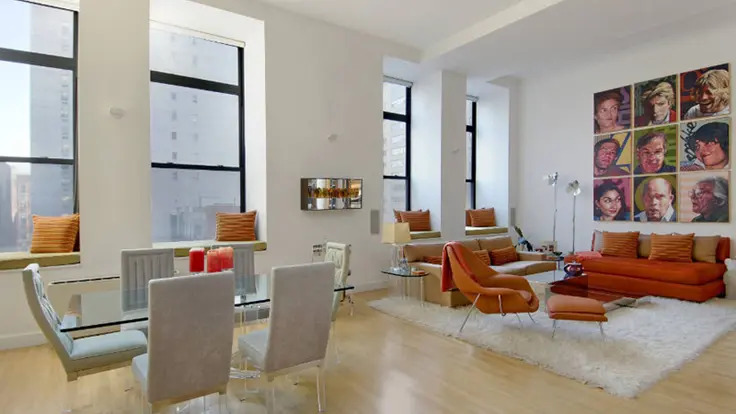 Residences have tall high ceilings and maintain original architectural touches; many units have been updated in recent years and boast kitchens and master bathrooms that are spacious and feature premium appliances and deluxe fixtures. 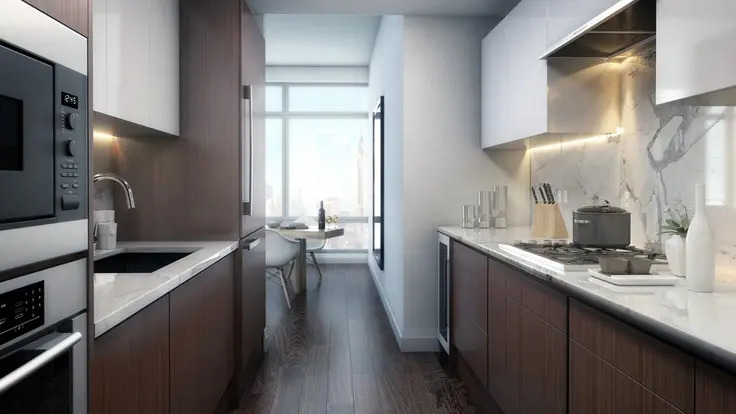 Residents of 260 West Broadway have access to amenities including an attended lobby, concierge service, a roof deck, a garden, basement storage and a health club. 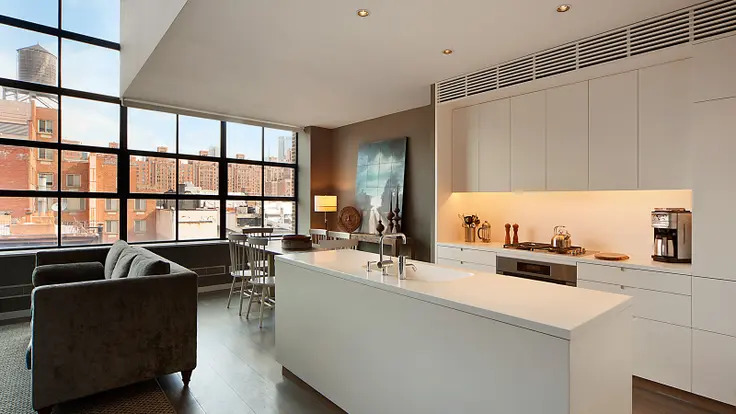 It is also convenient to the shops and restaurants in the surrounding neighborhood and SoHo.